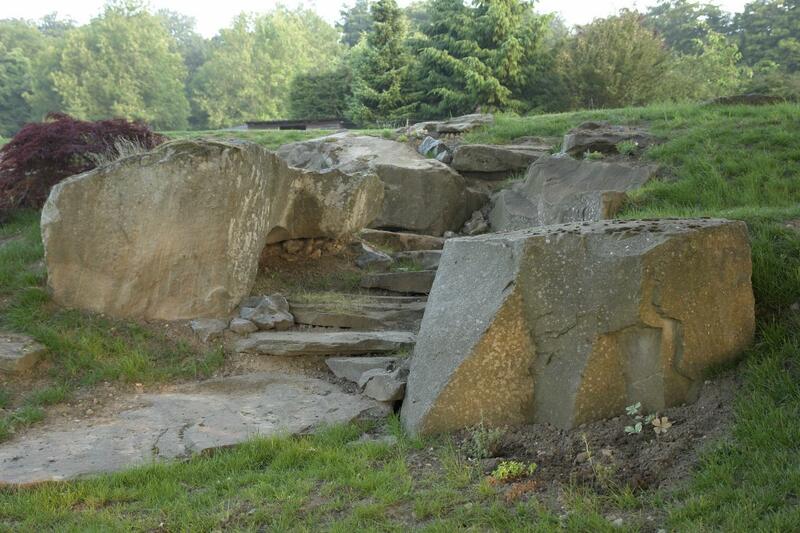 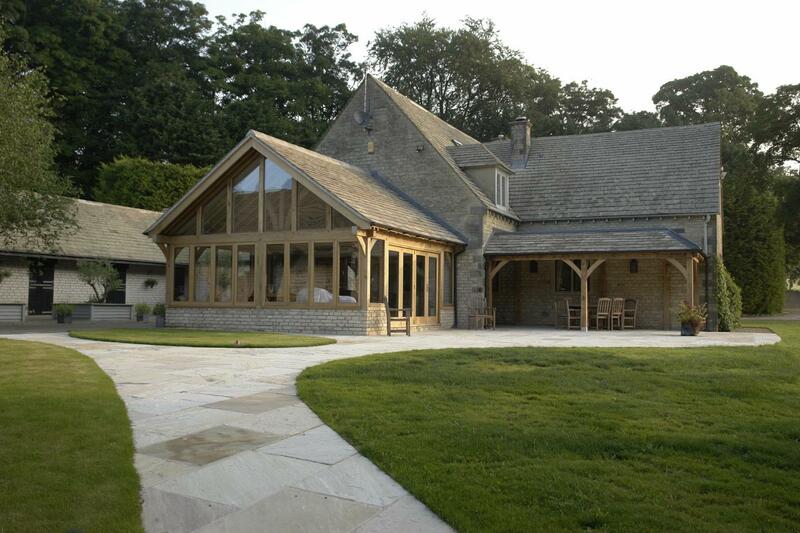 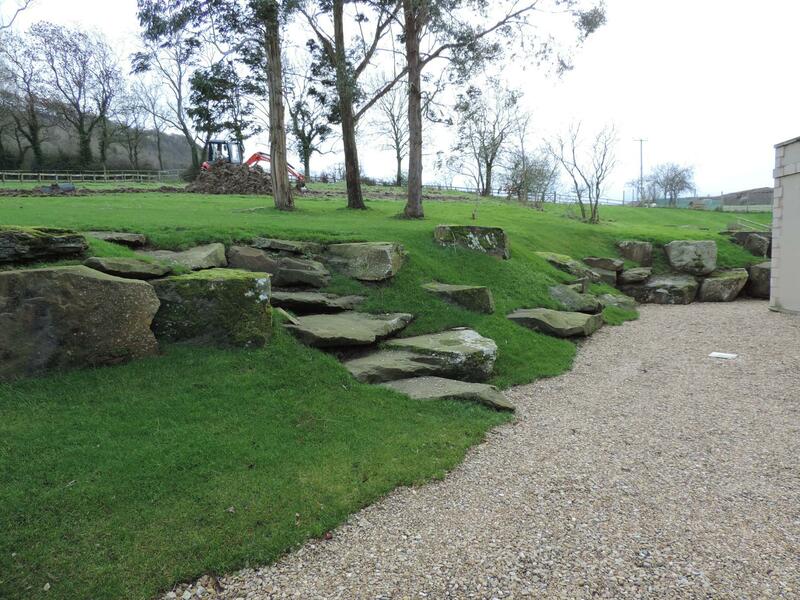 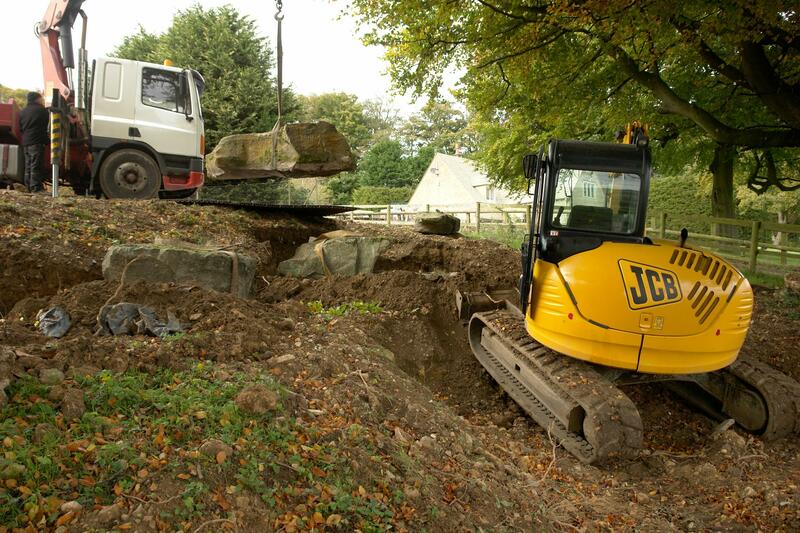 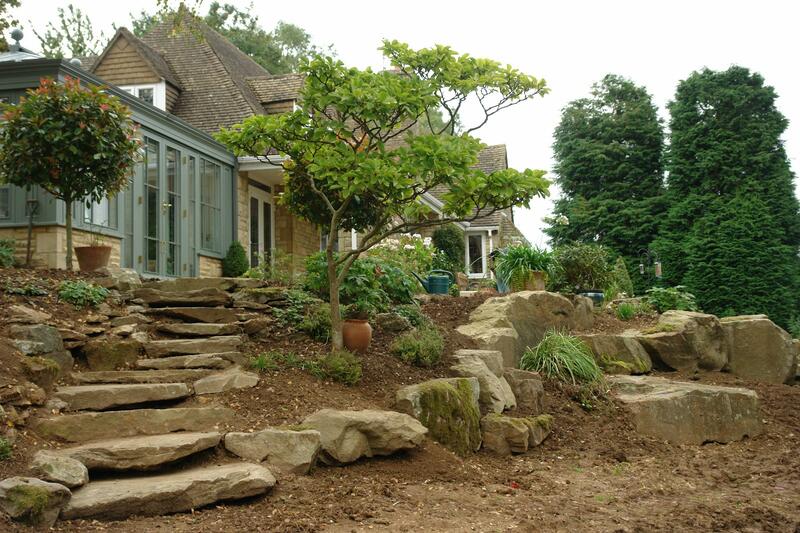 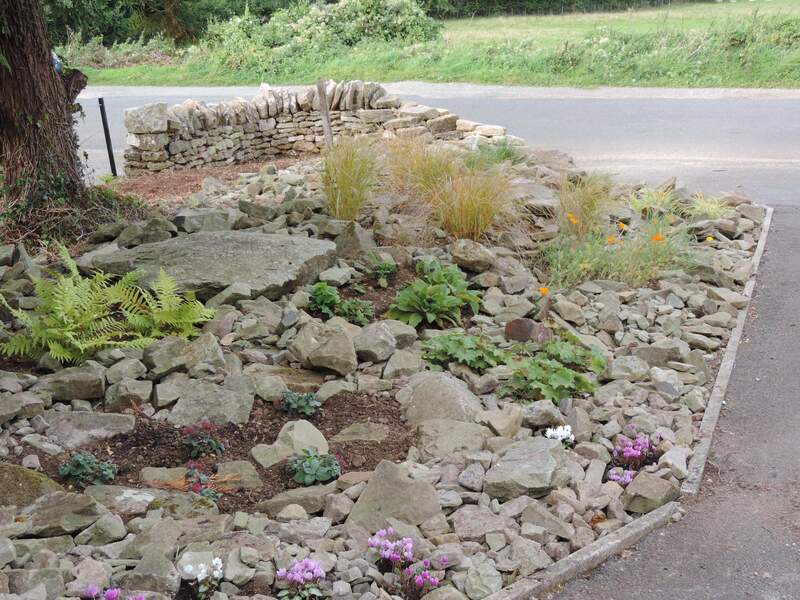 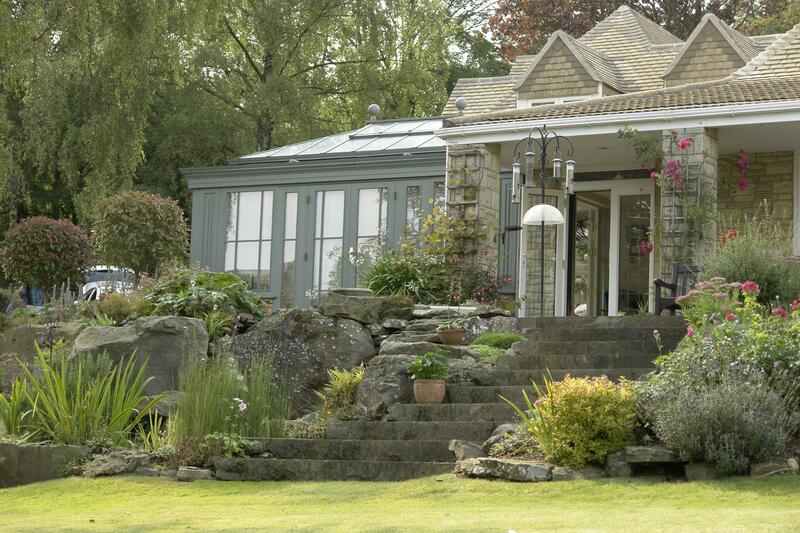 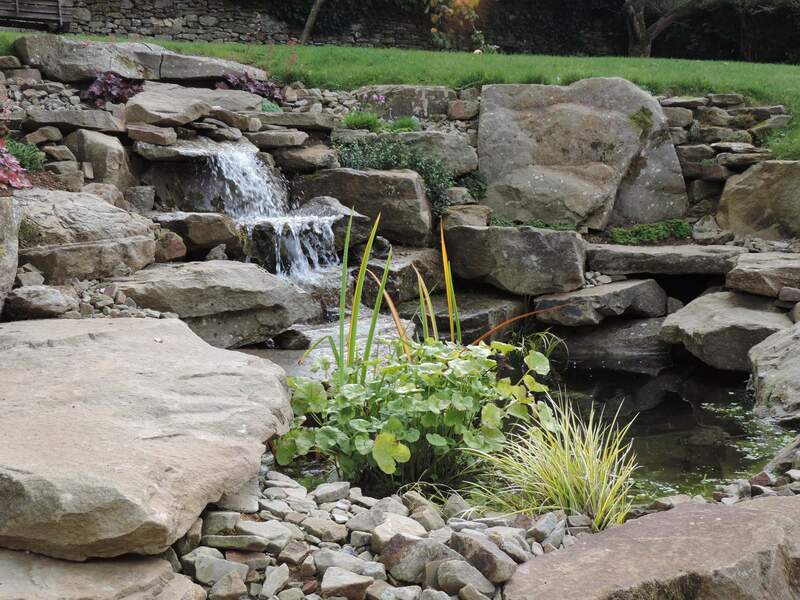 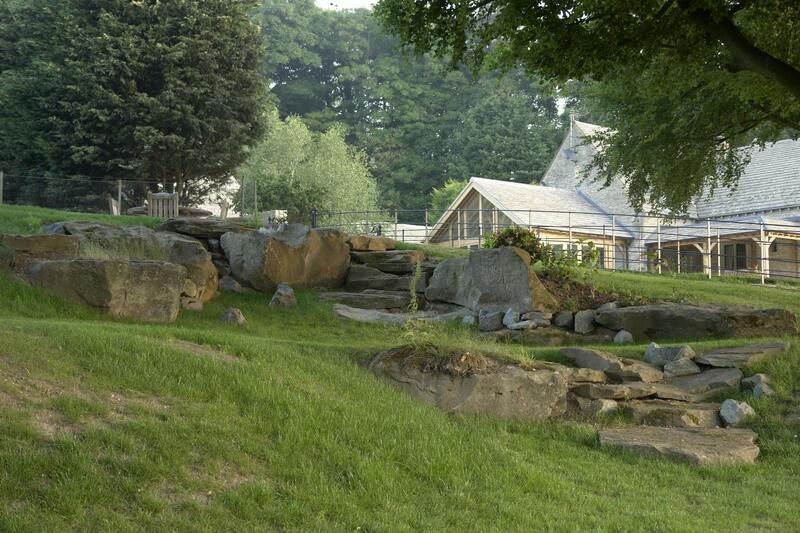 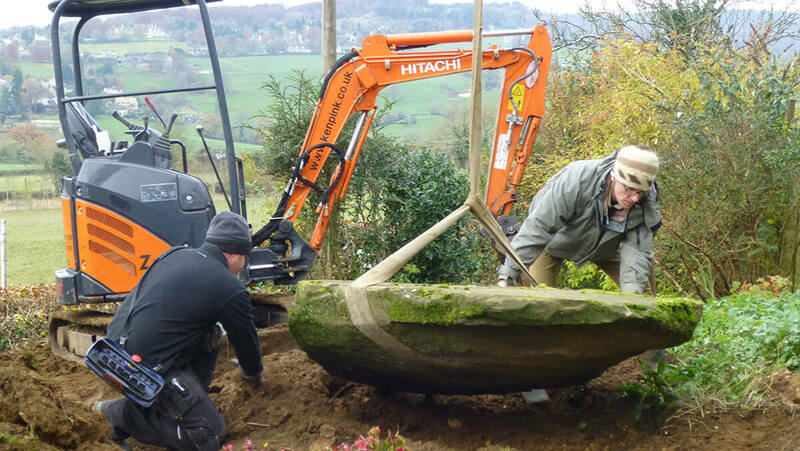 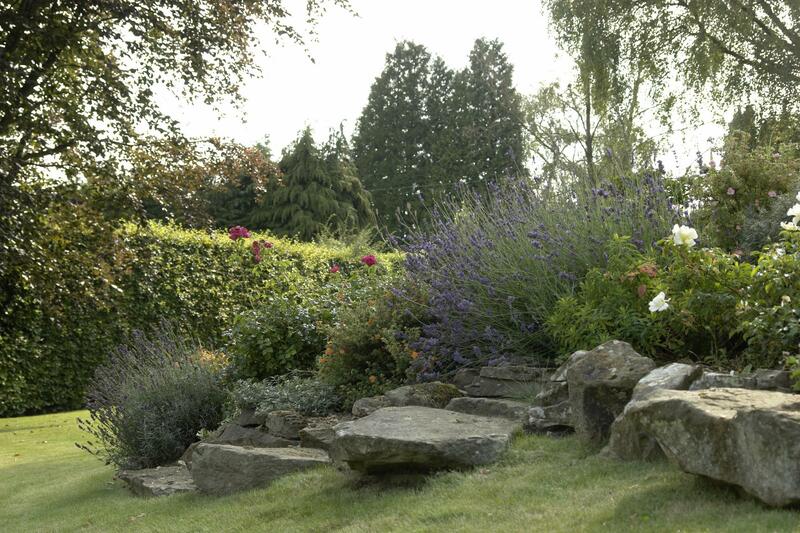 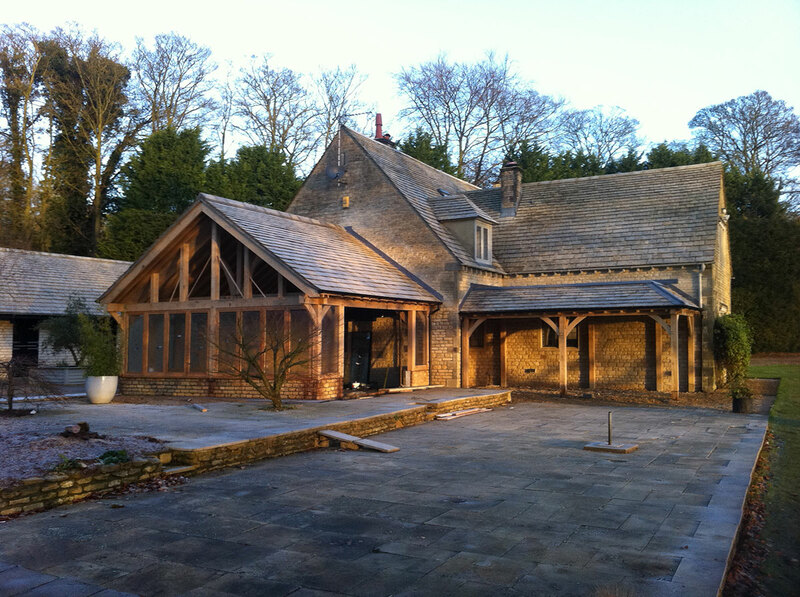 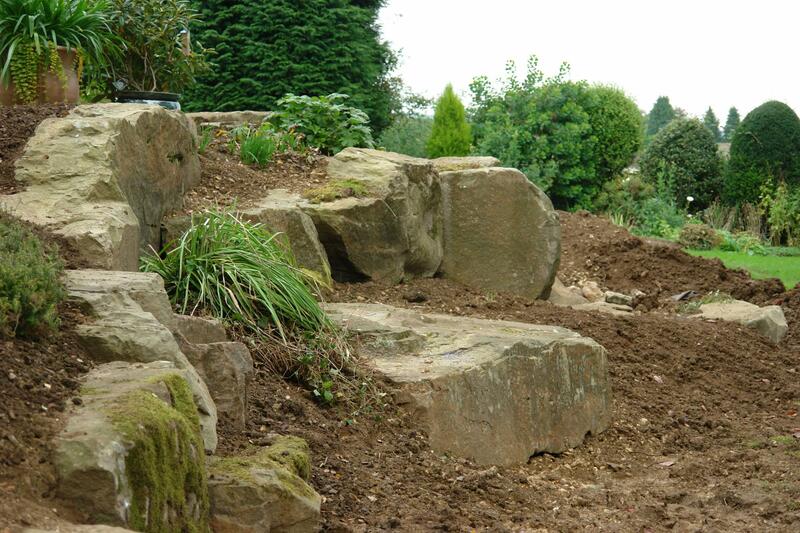 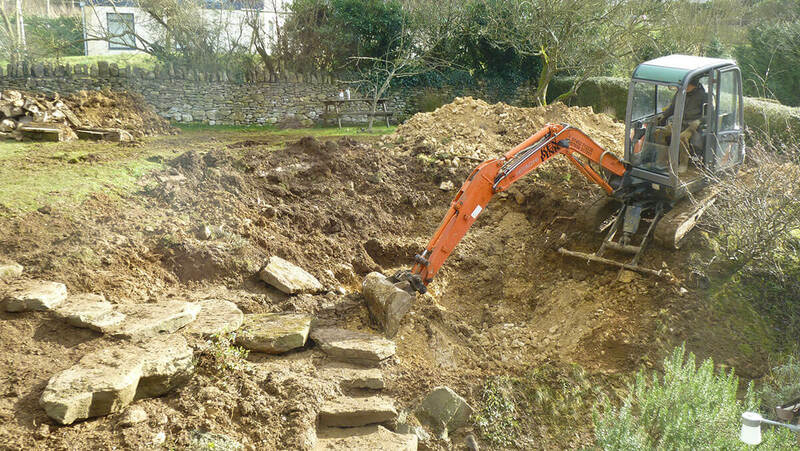 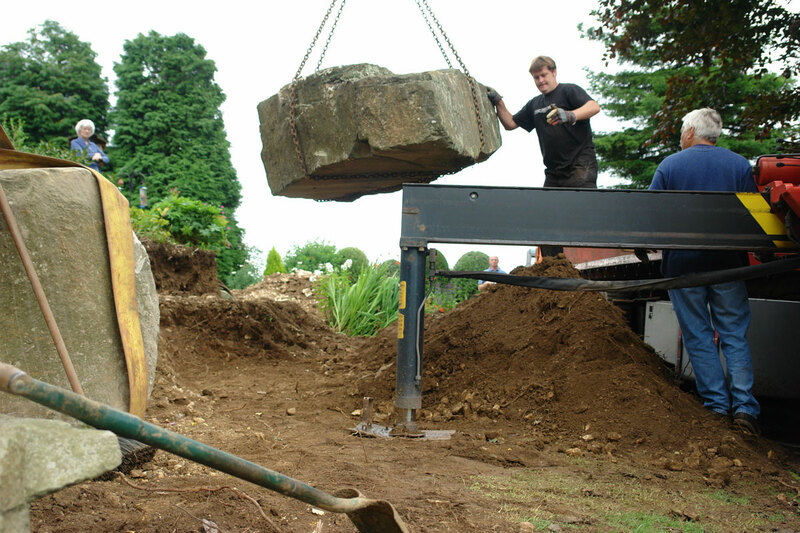 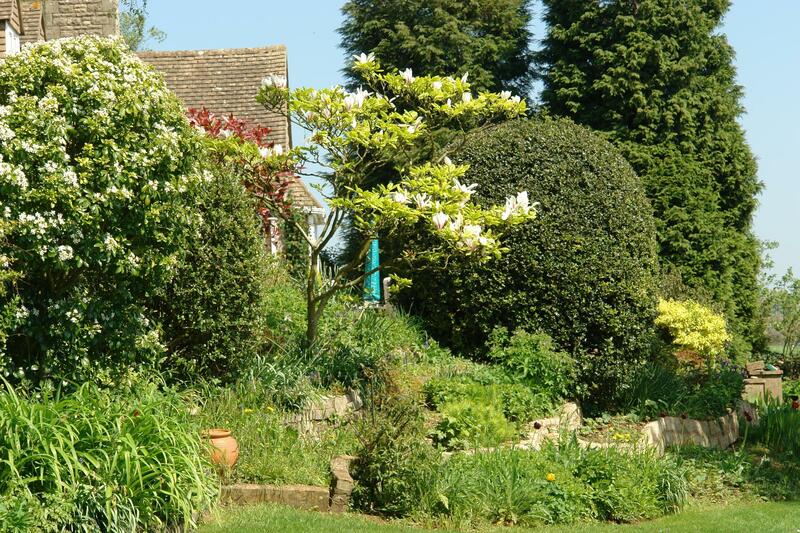 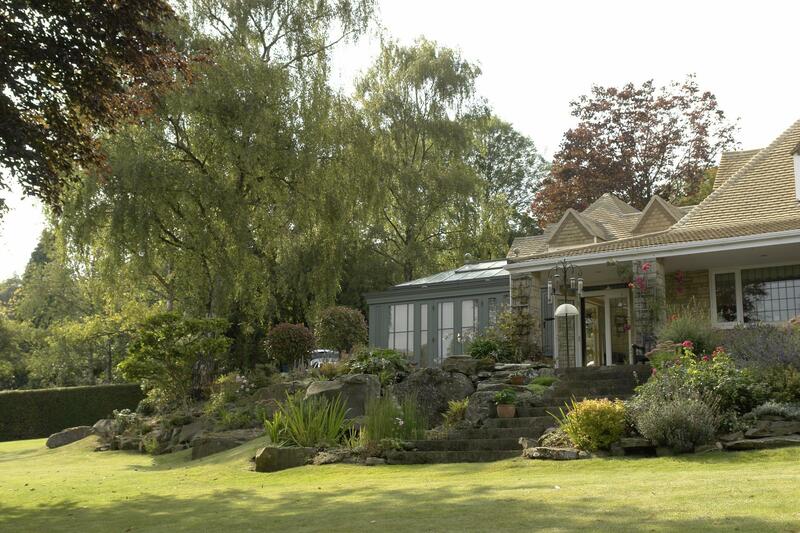 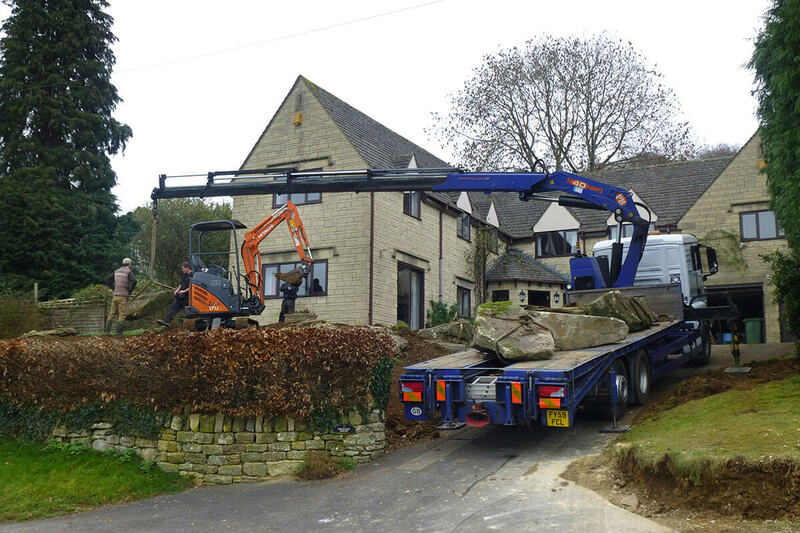 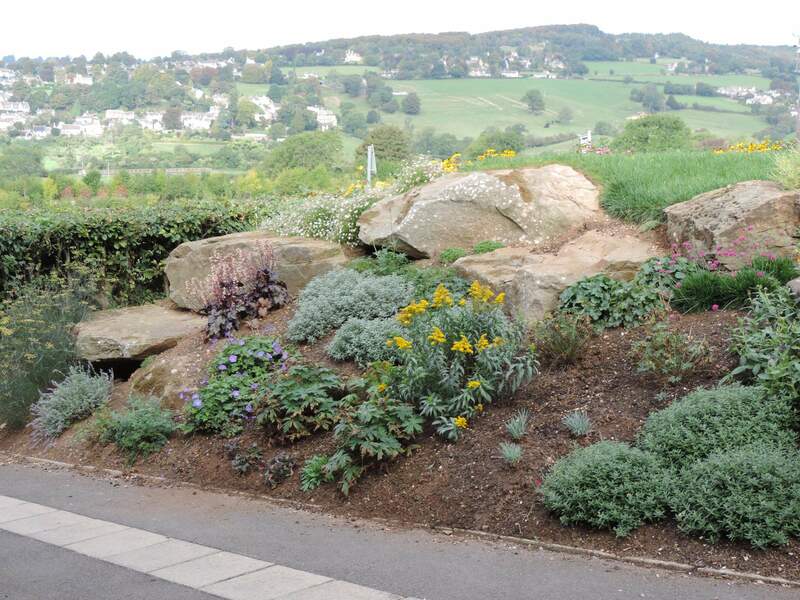 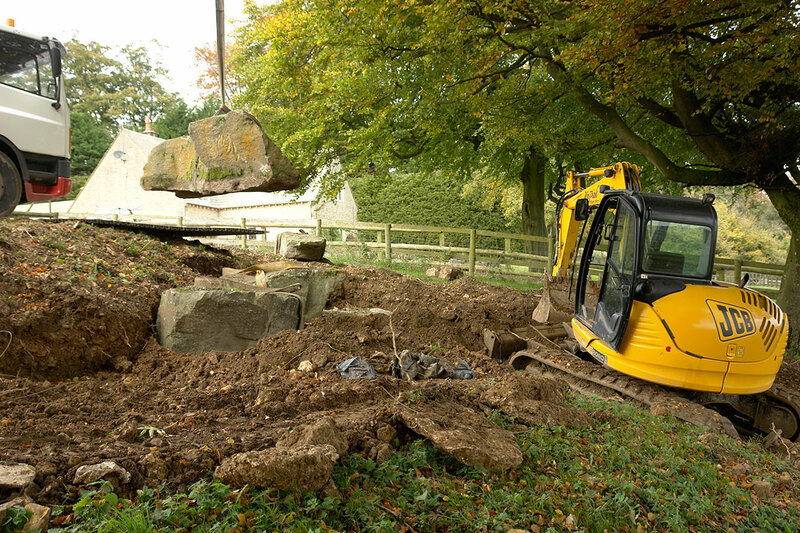 A dramatic project transforming a garden that was split by an old stone wall. 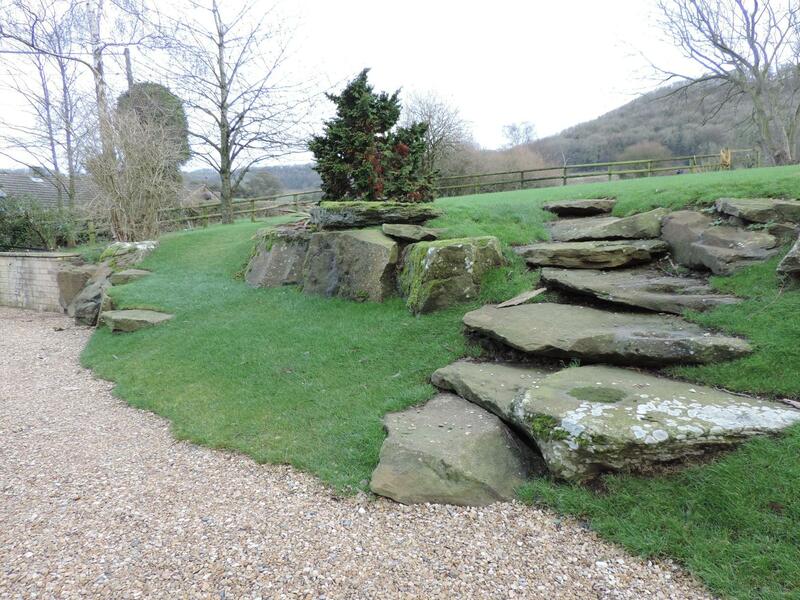 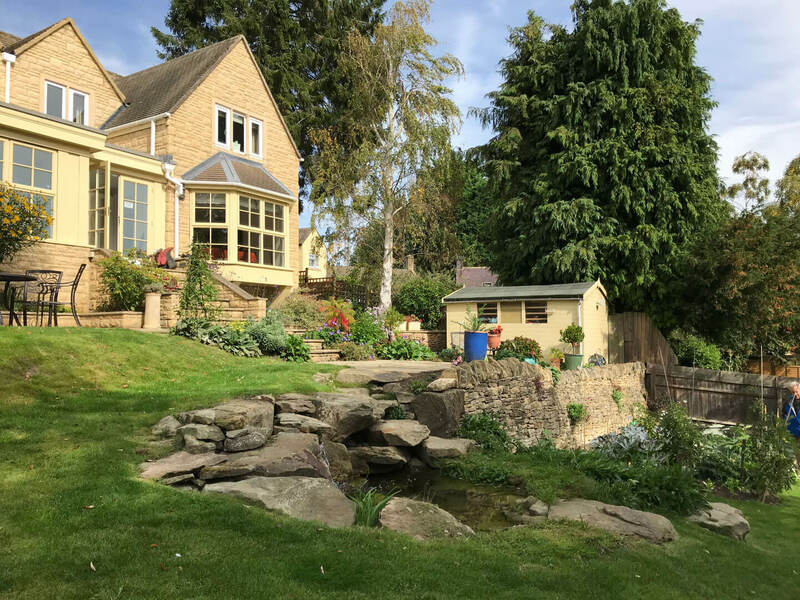 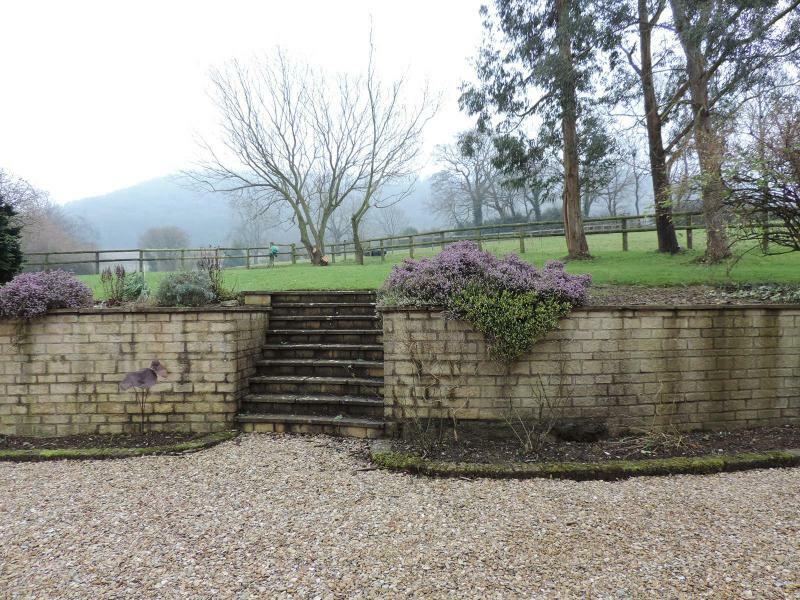 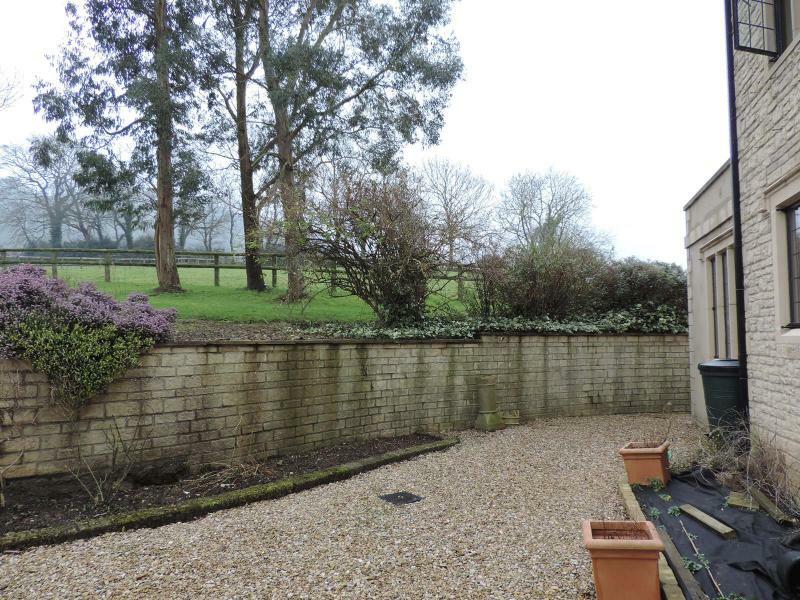 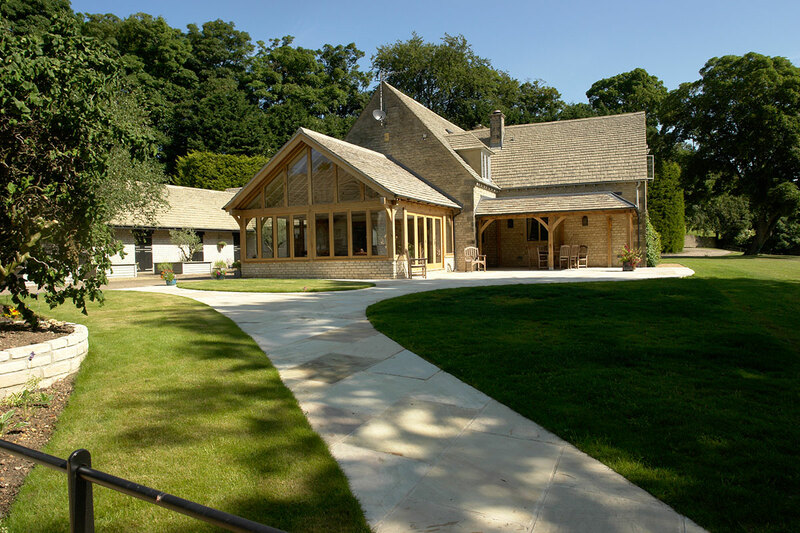 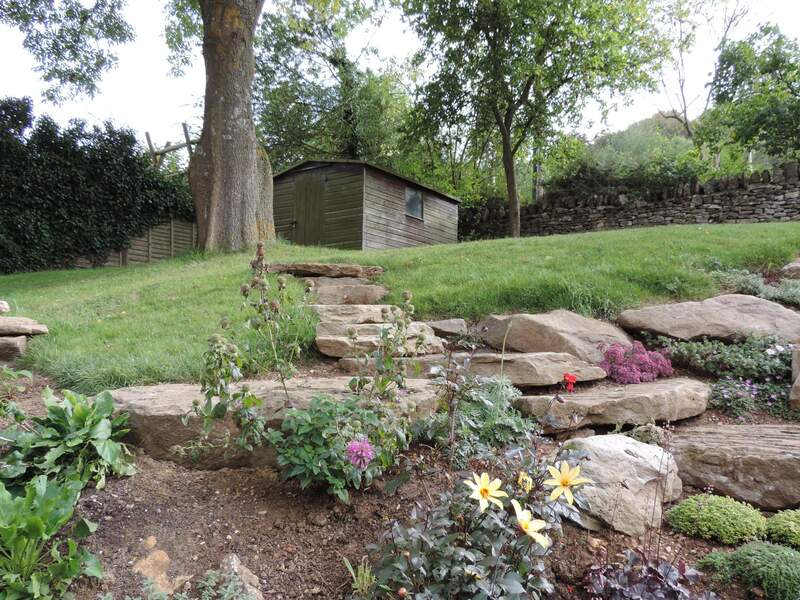 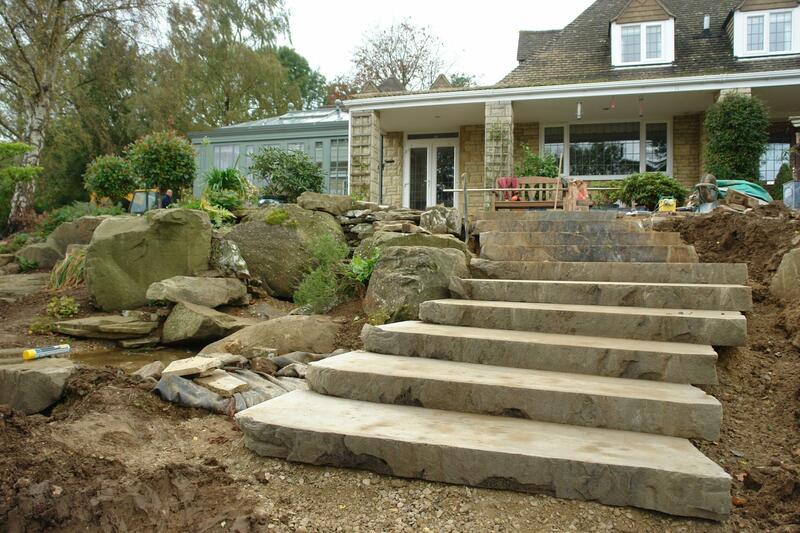 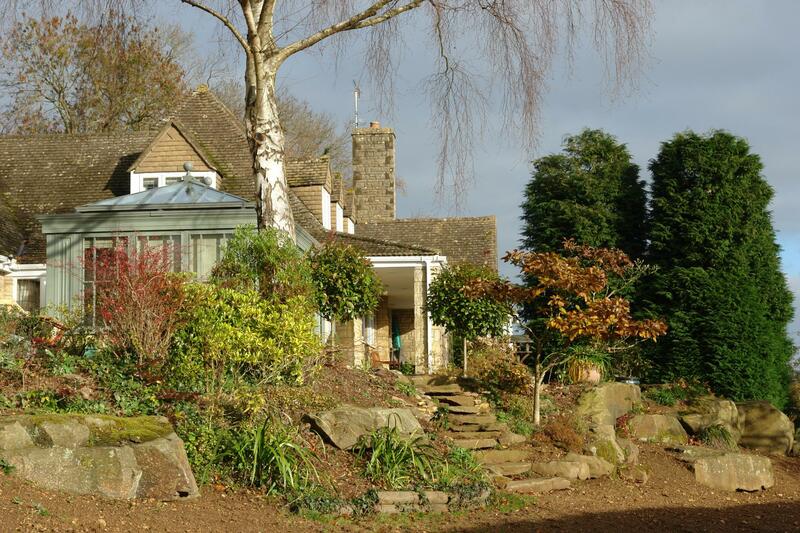 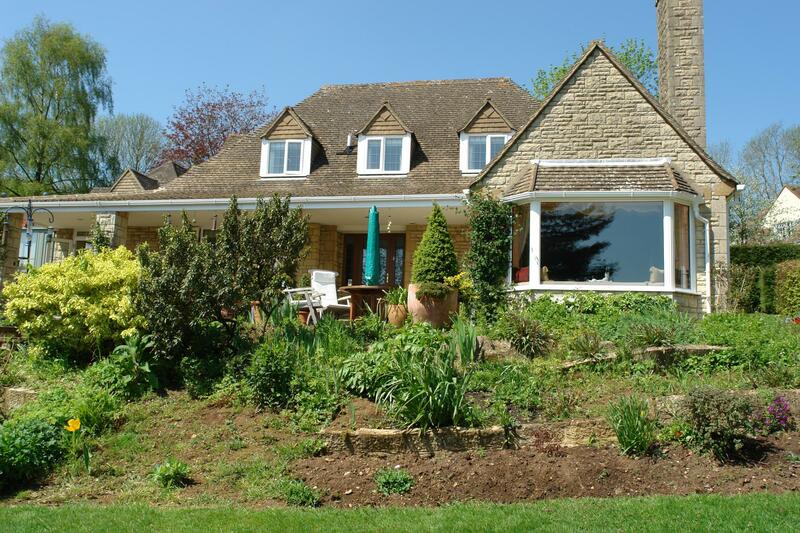 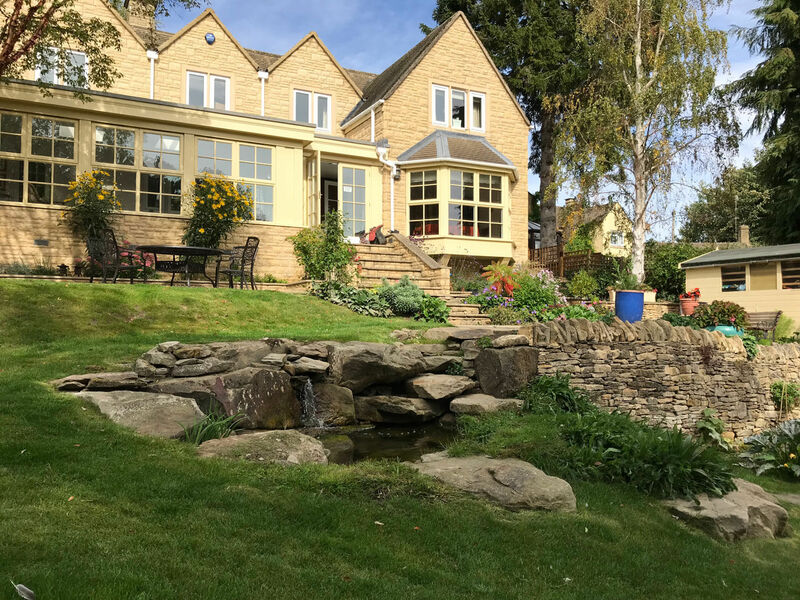 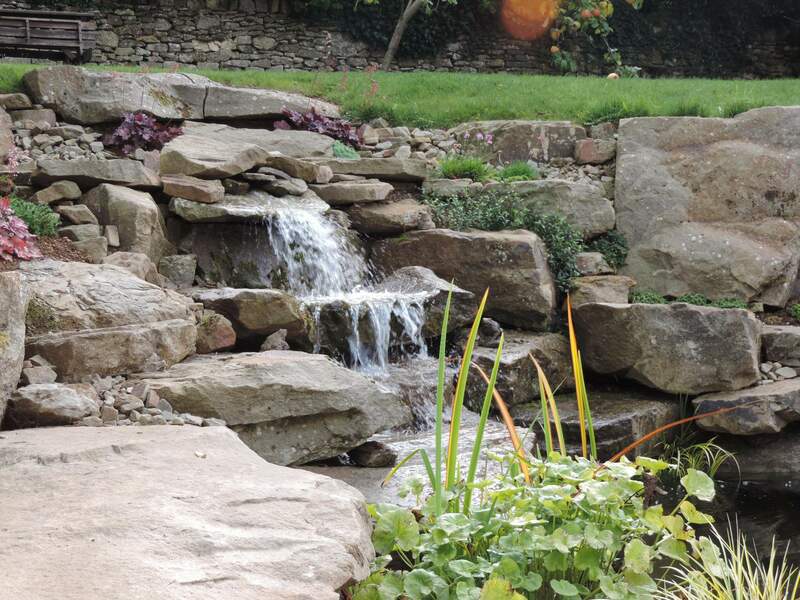 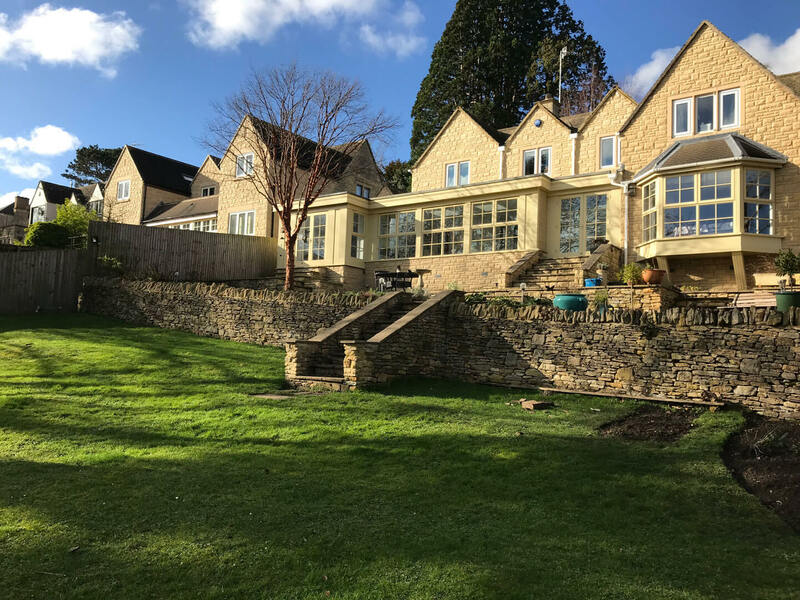 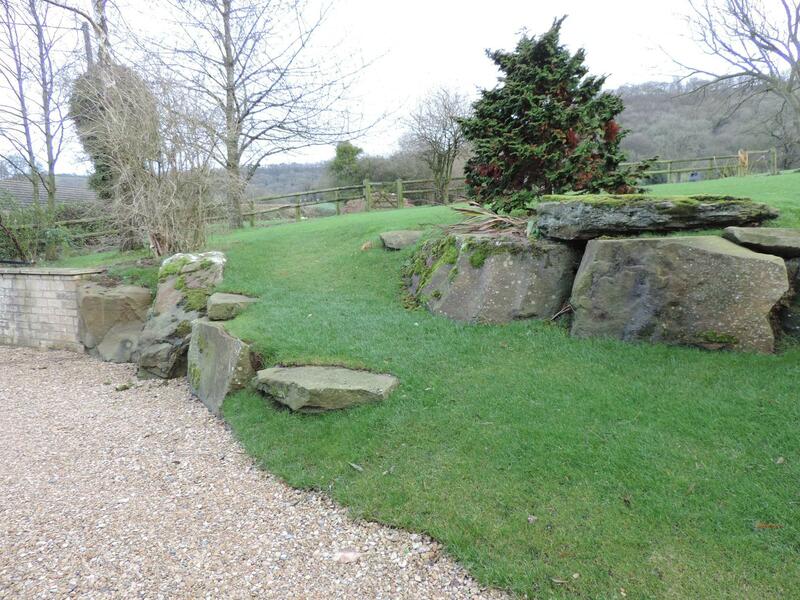 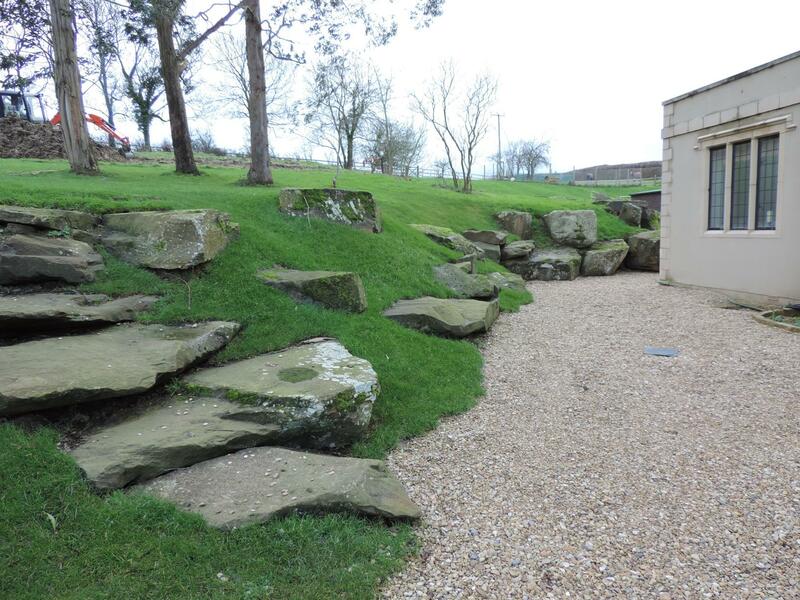 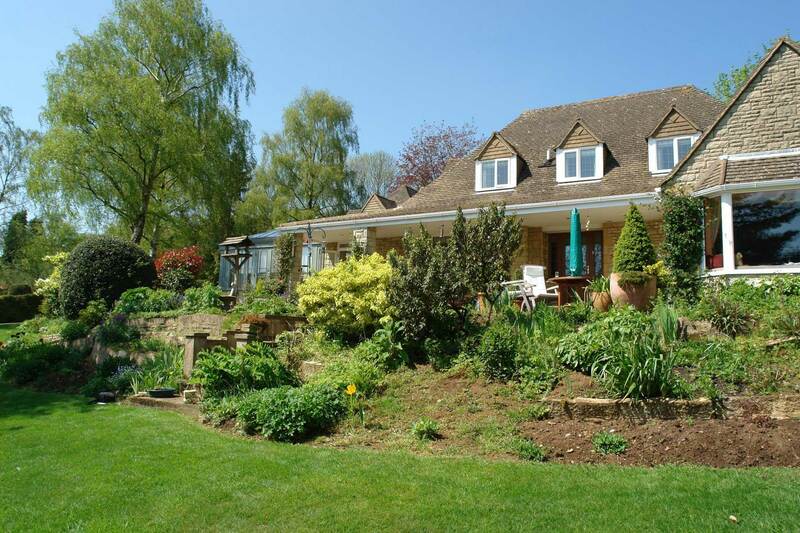 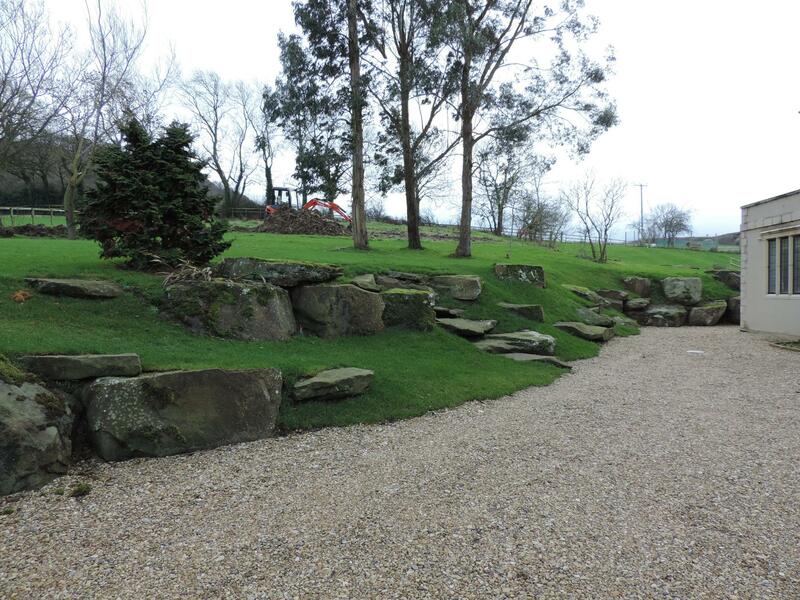 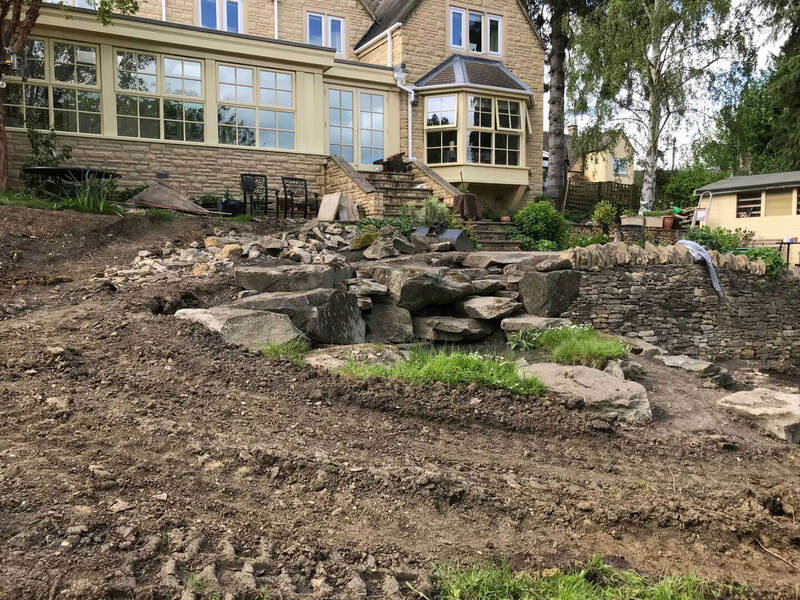 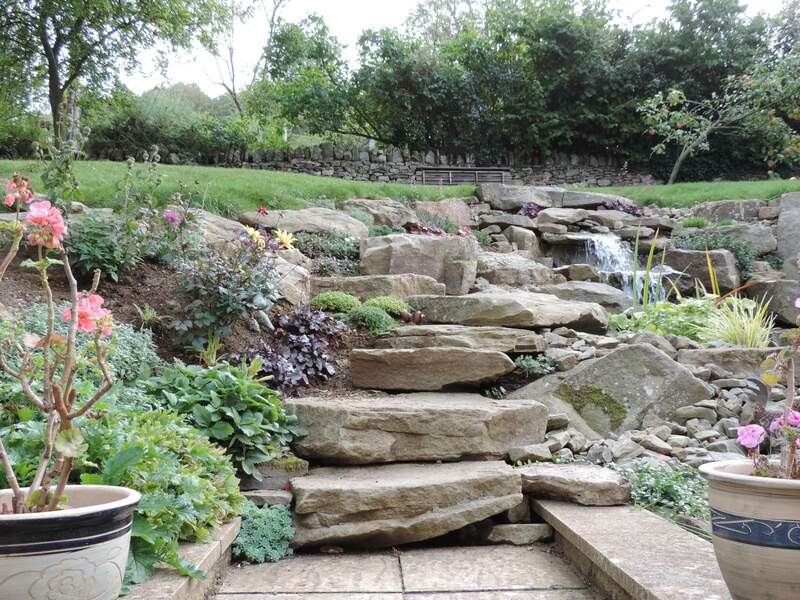 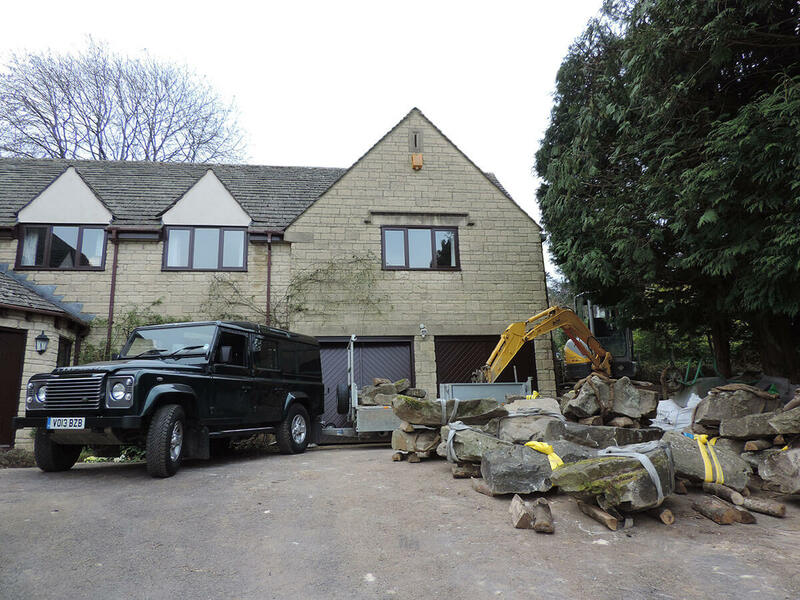 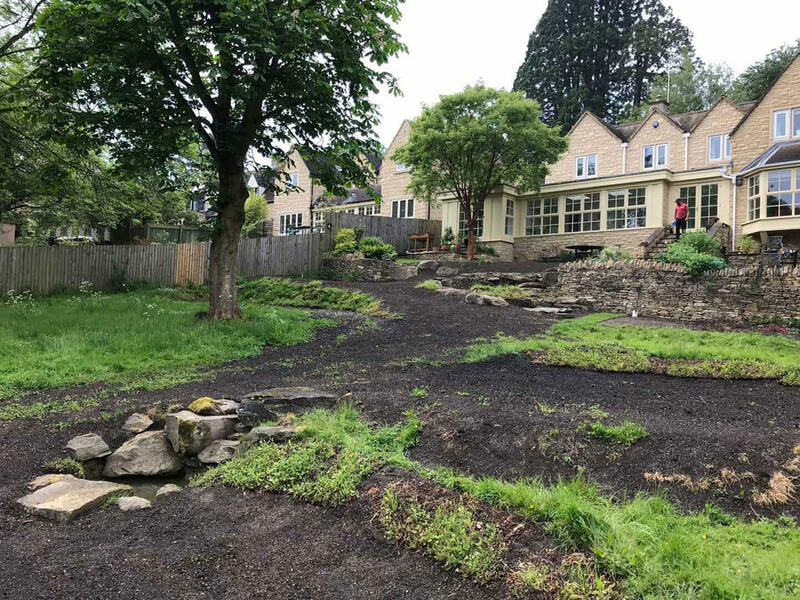 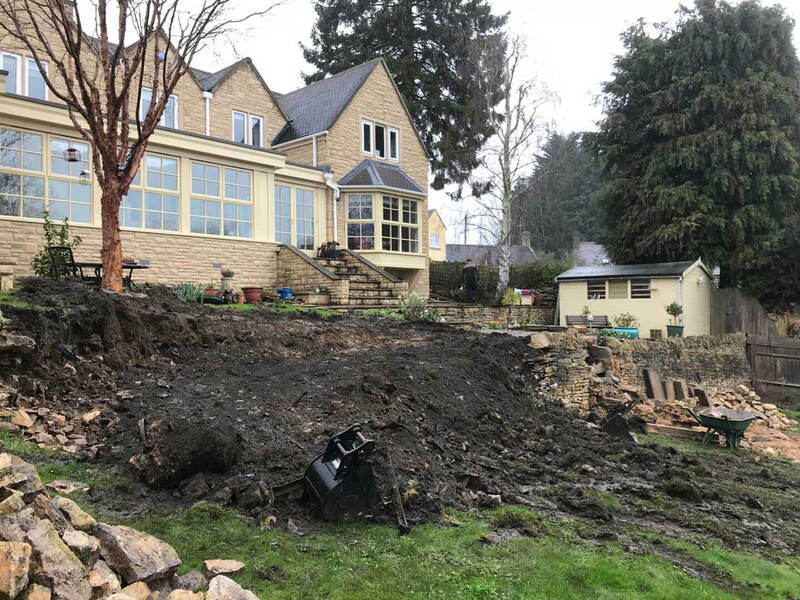 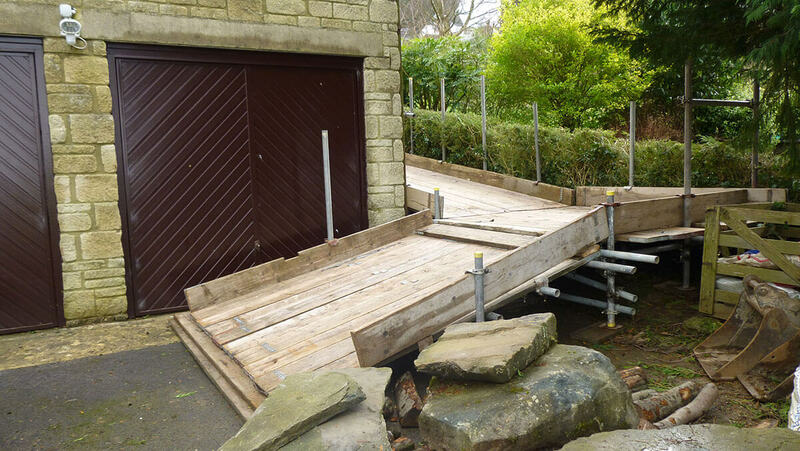 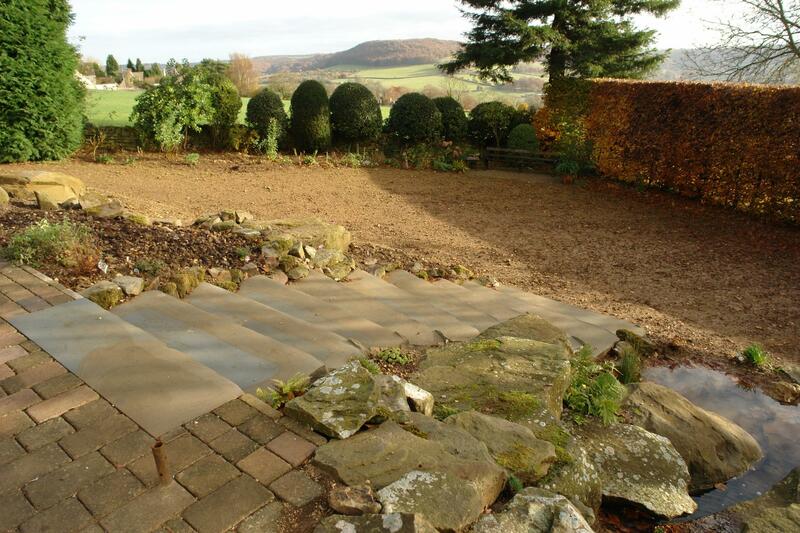 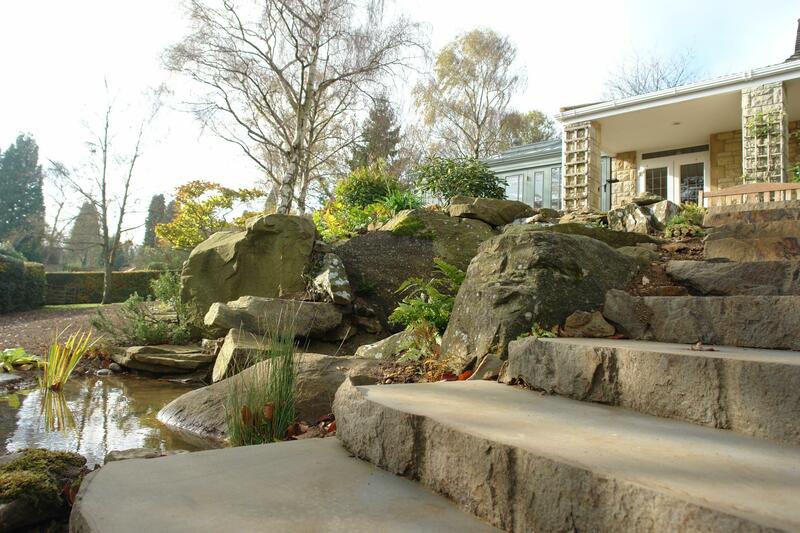 By removing a whole section of this and creating a stone outcrop spring and natural stone steps along with a sweeping ride the garden was joined to the house and became one whole with banked terraces to create level areas down the sloping lawn. 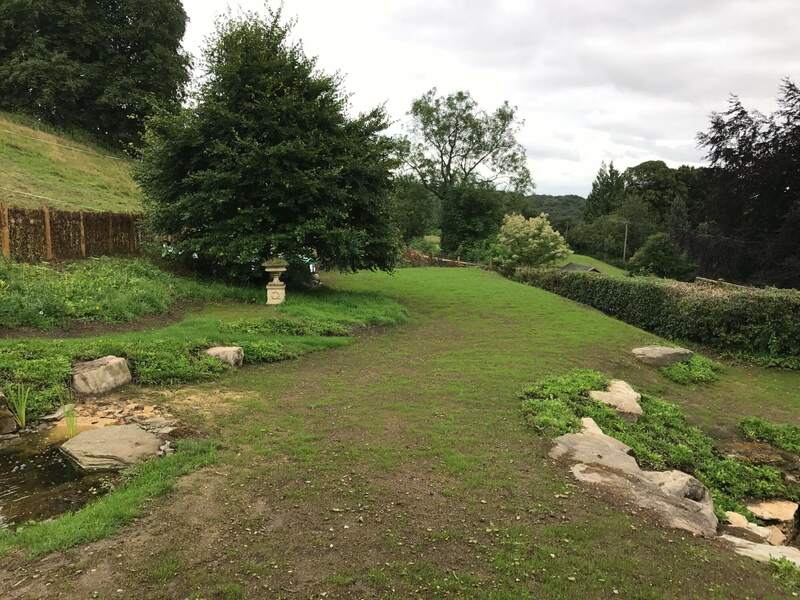 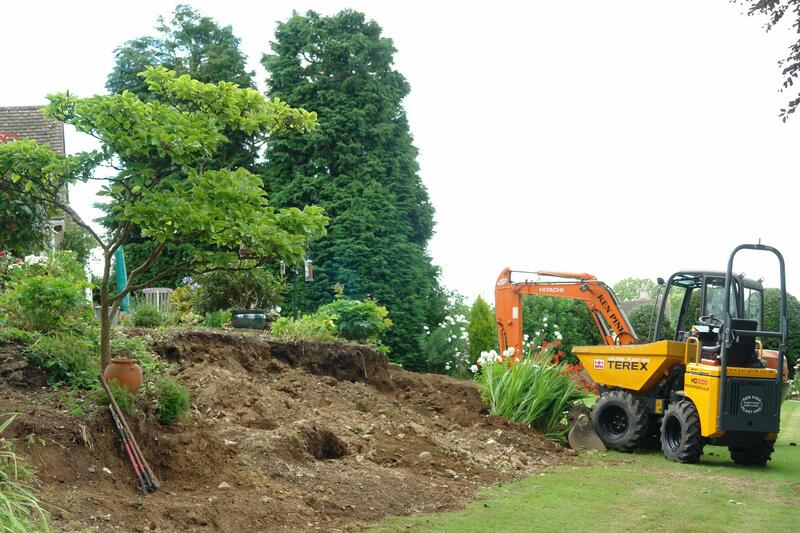 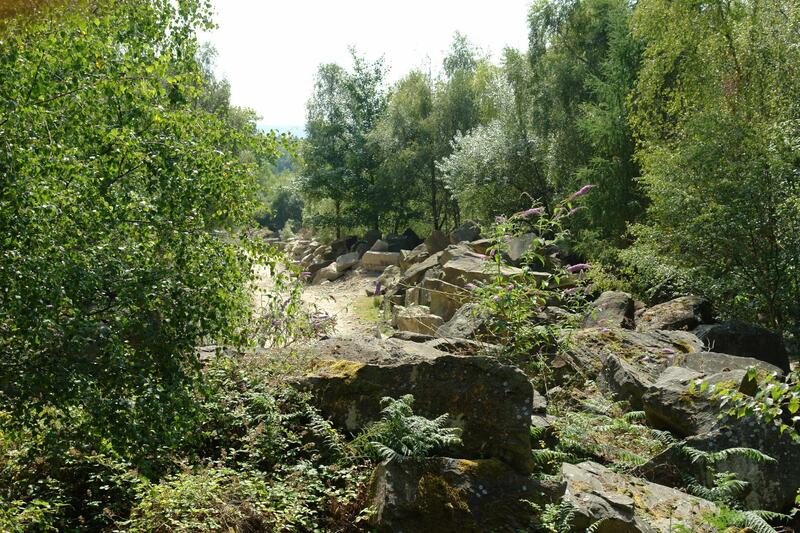 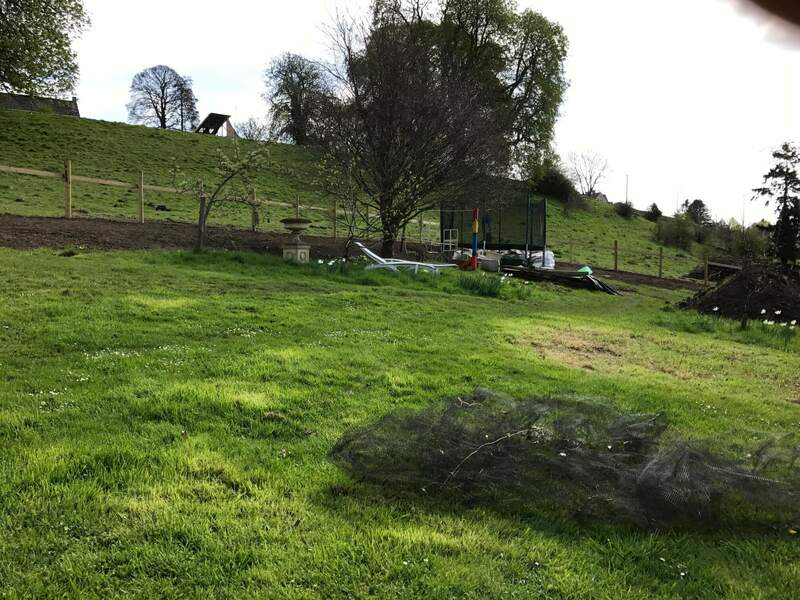 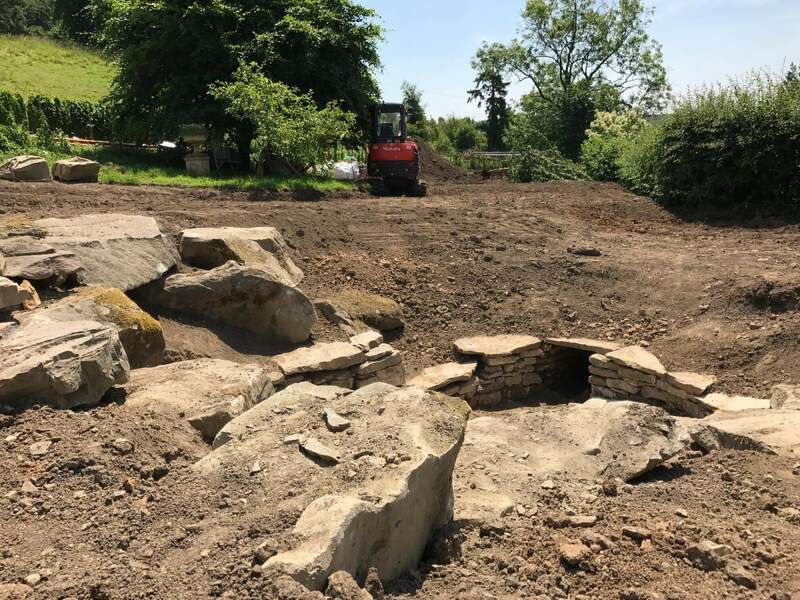 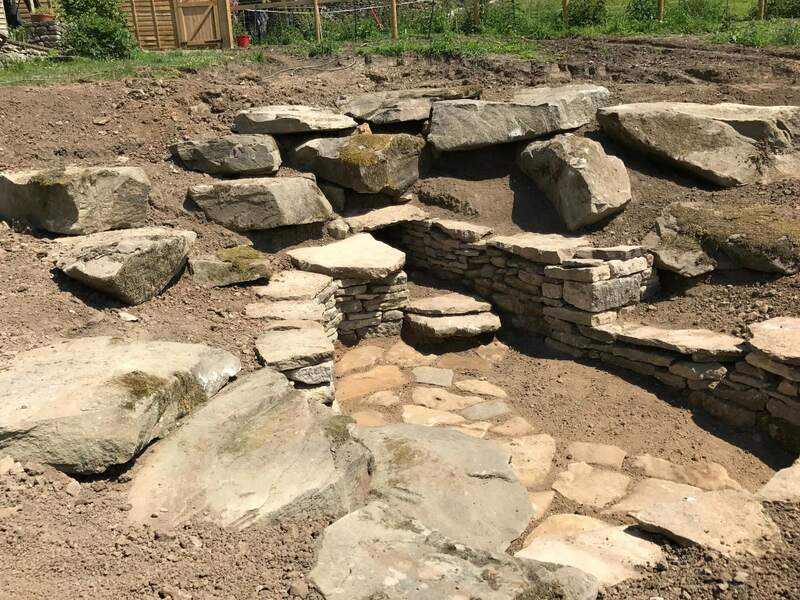 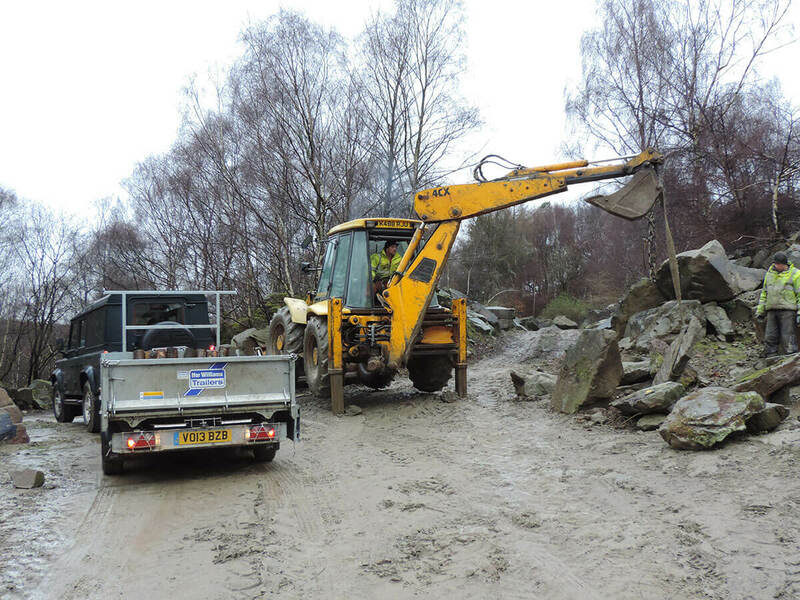 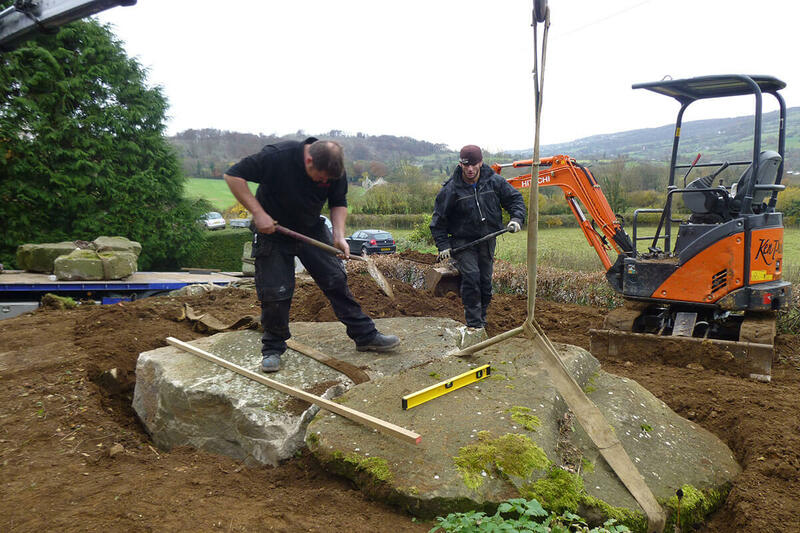 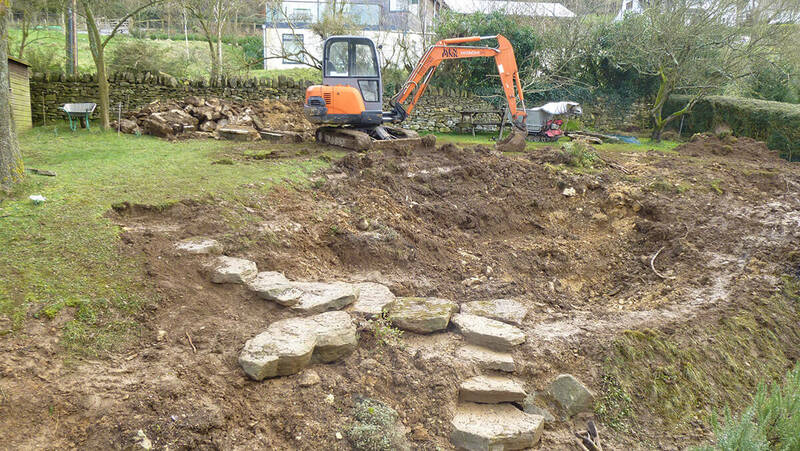 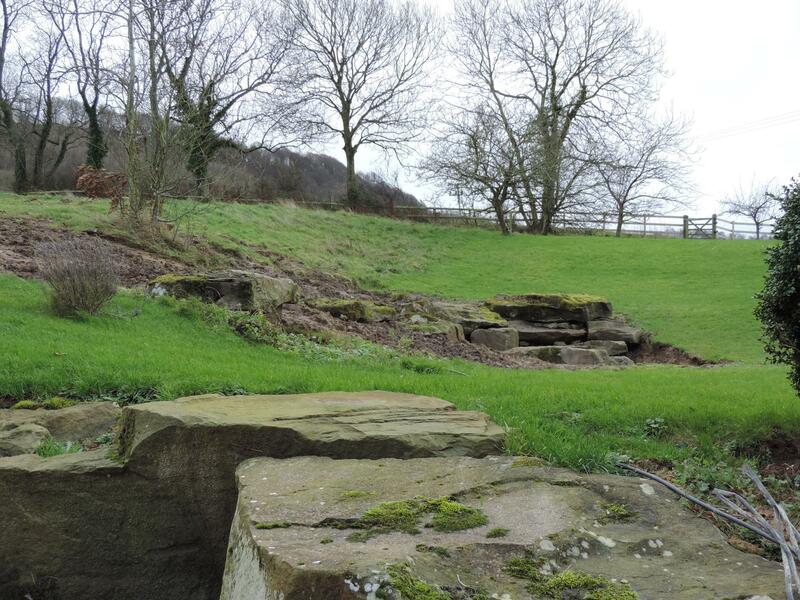 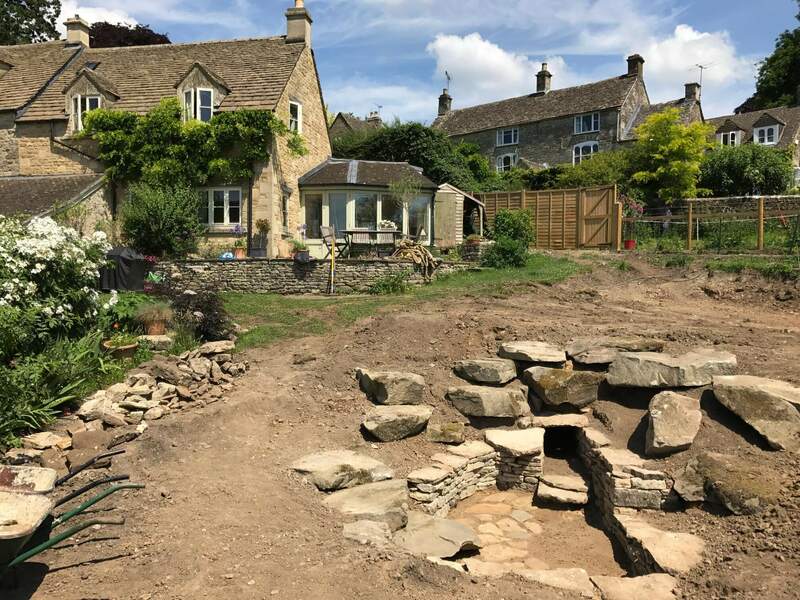 Turning a newly purchased section of field into an integrated and useable extension of the garden by levelling with terraces and banks and adding the geological elements of stone outcrops and spring and pond. 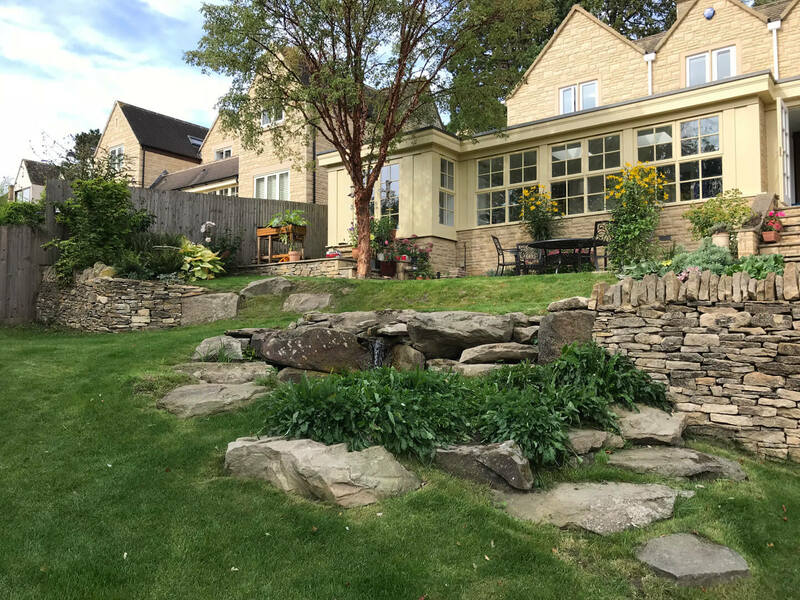 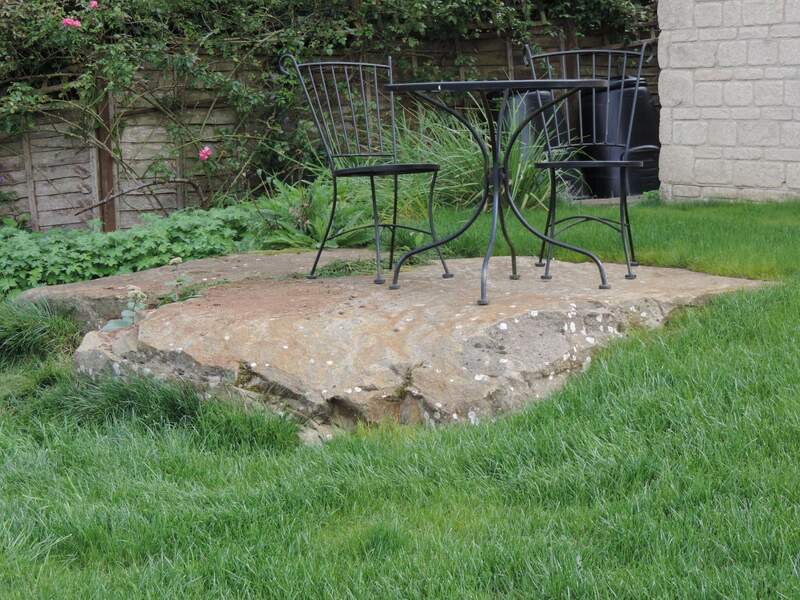 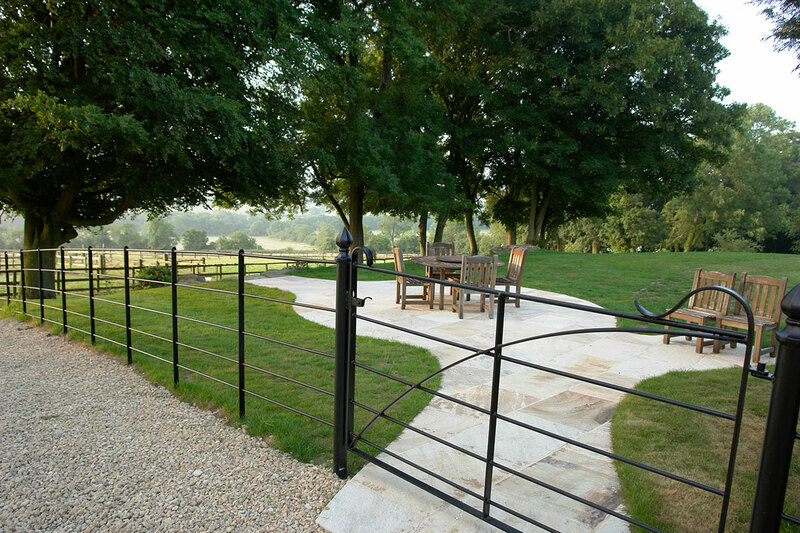 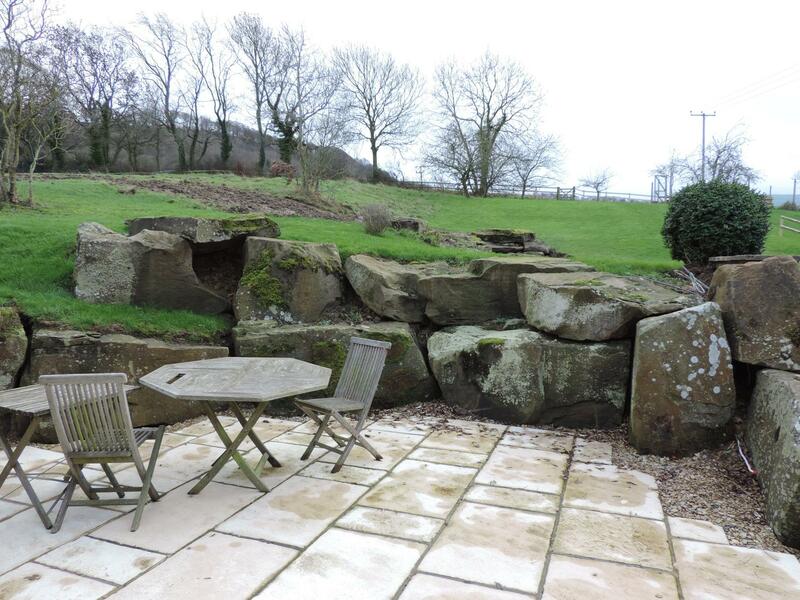 In the process we discovered the old stone underground culvert so created a highly characterful sunken garden area with multiple seating spots making it a favourite place for an evening round the firebowl! 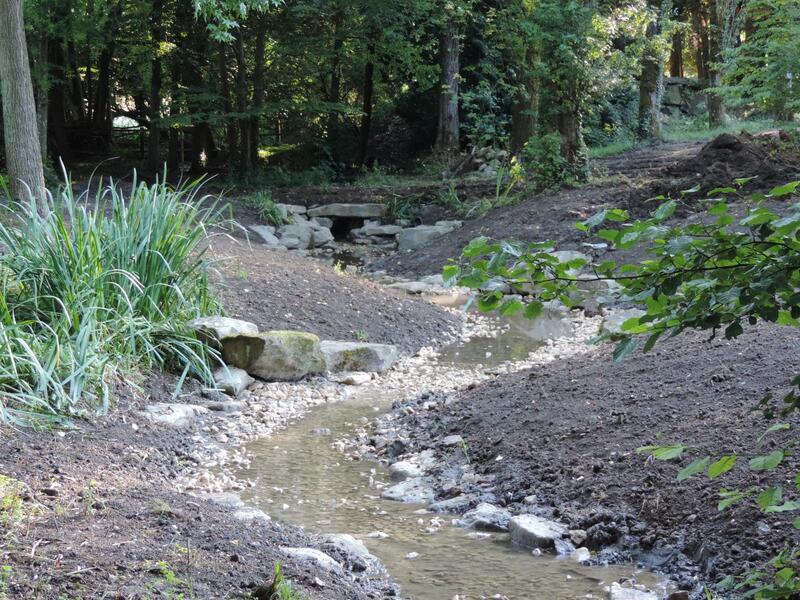 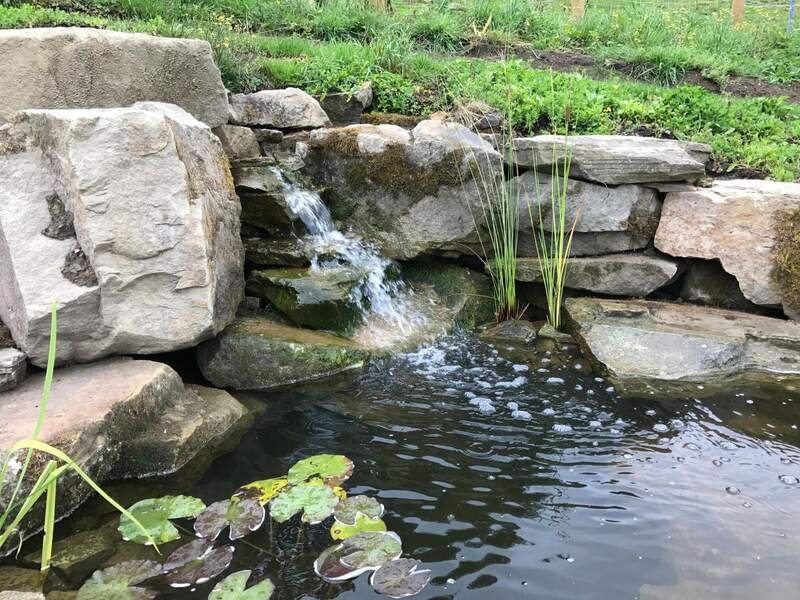 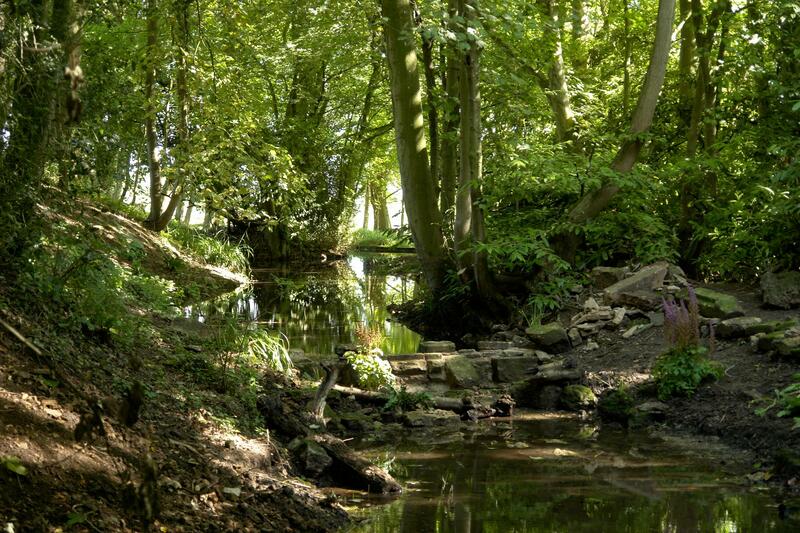 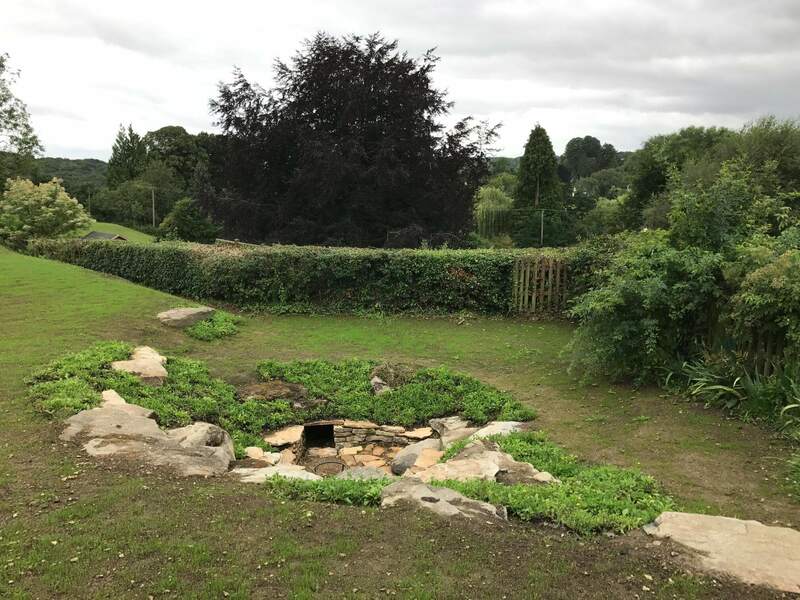 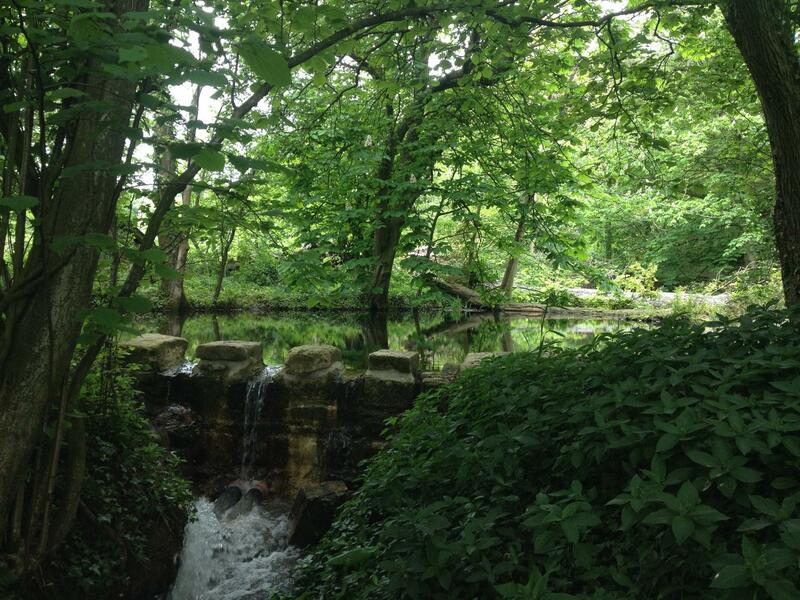 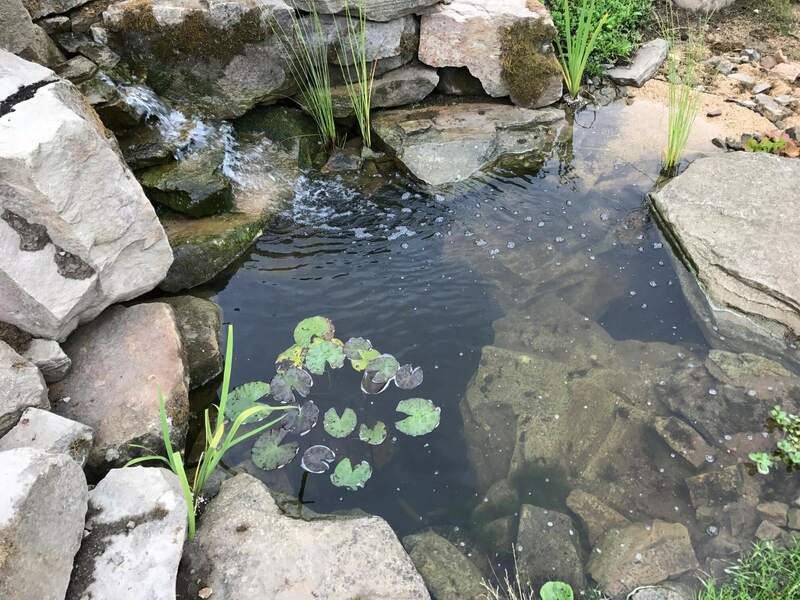 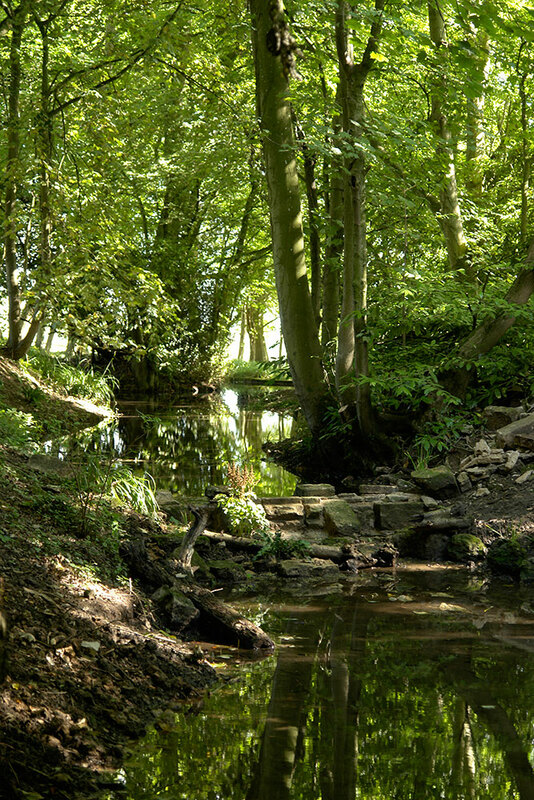 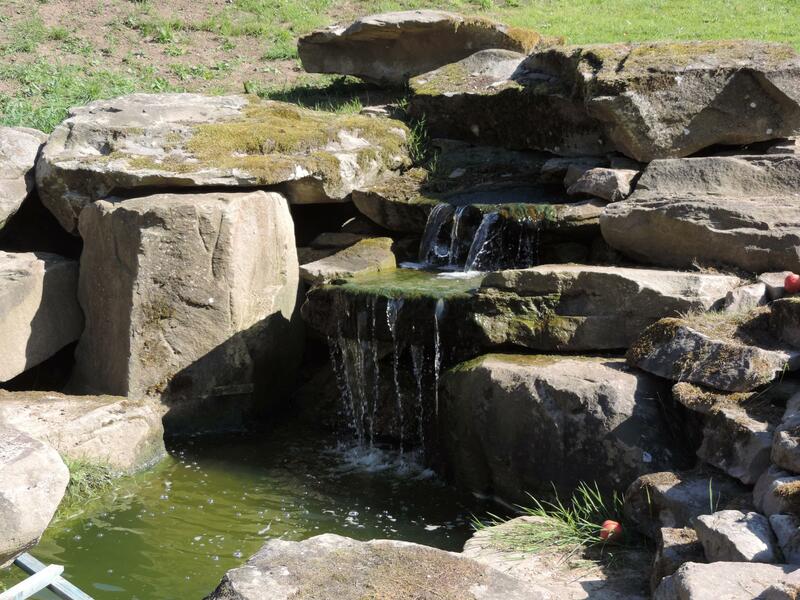 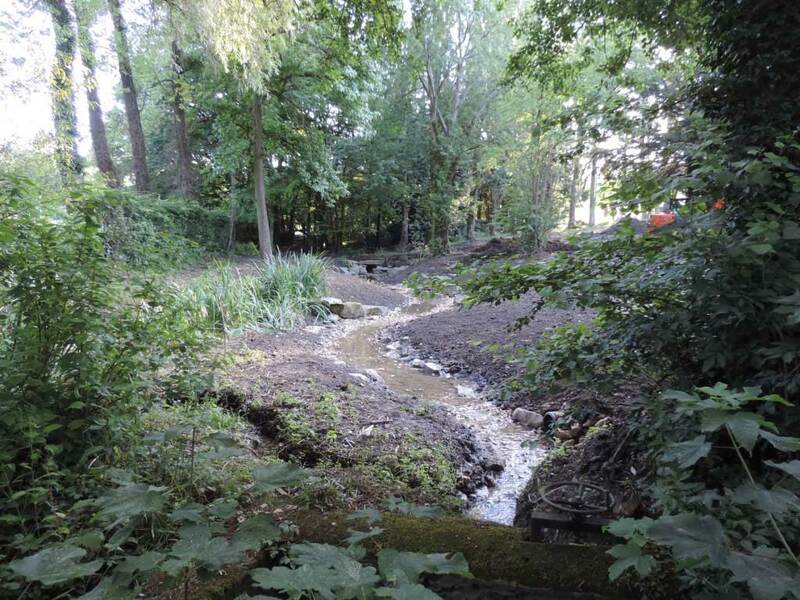 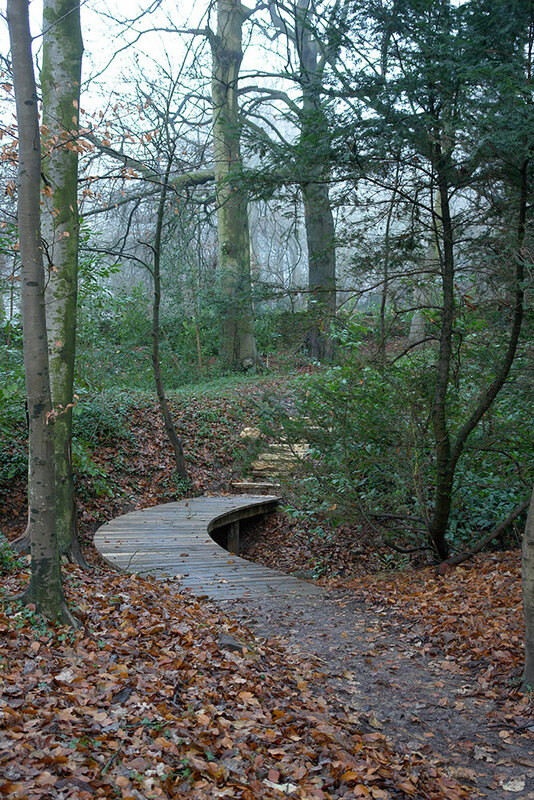 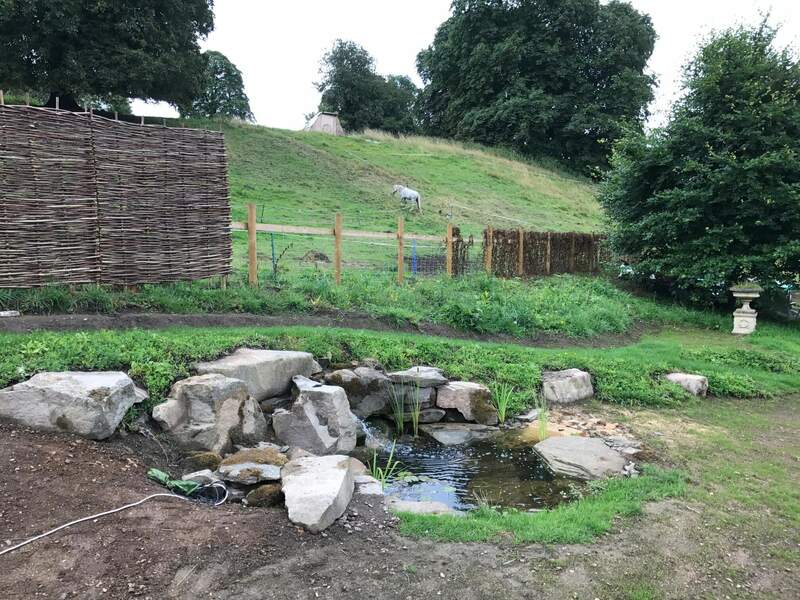 The stream was a straight steep sided open culvert which we transformed into a safe and beautiful asset that the children can play in. 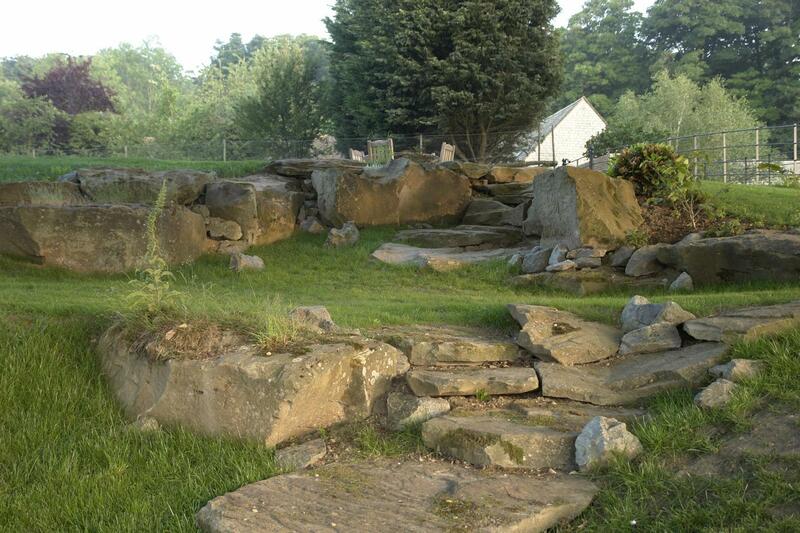 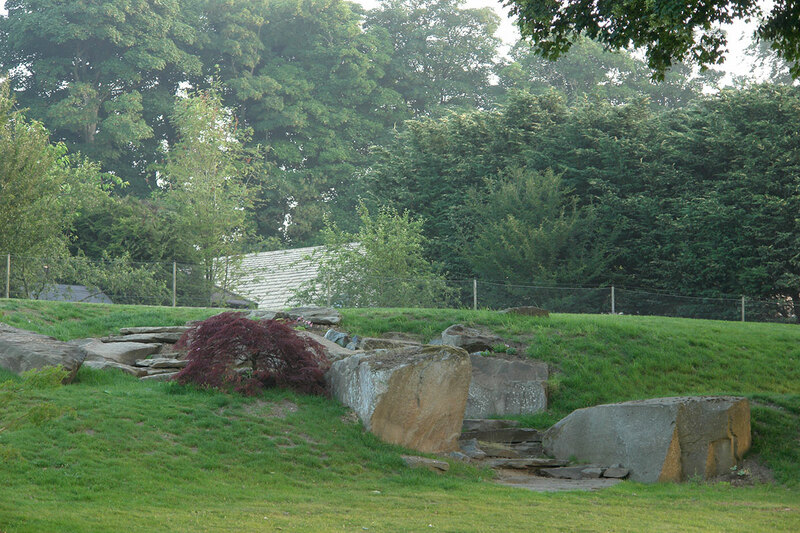 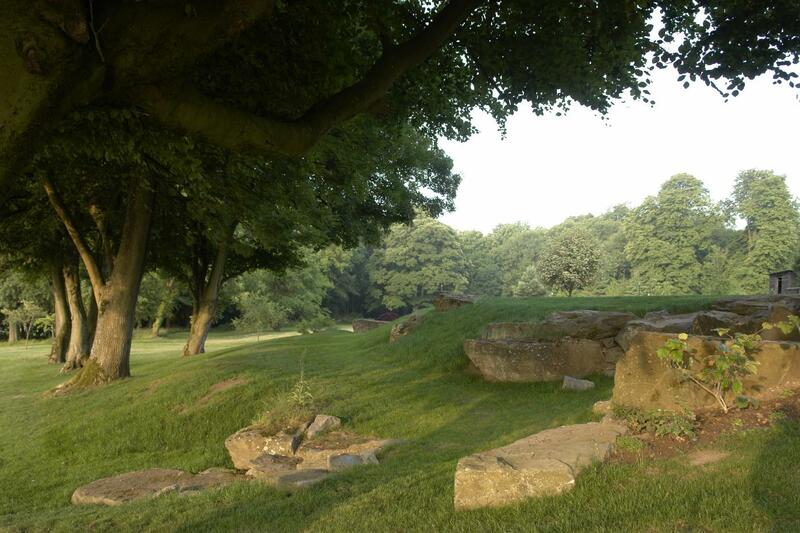 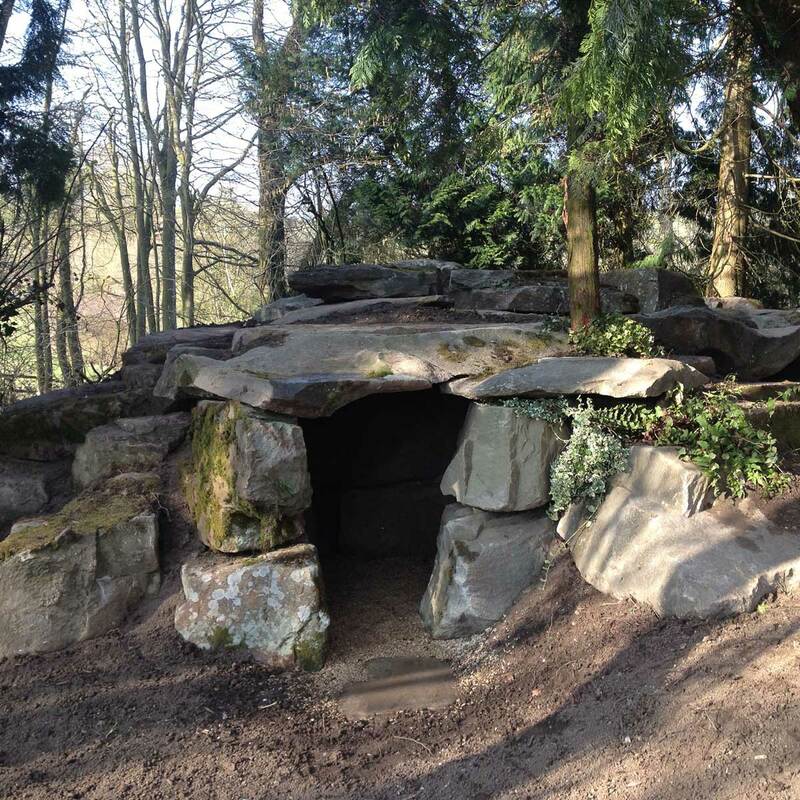 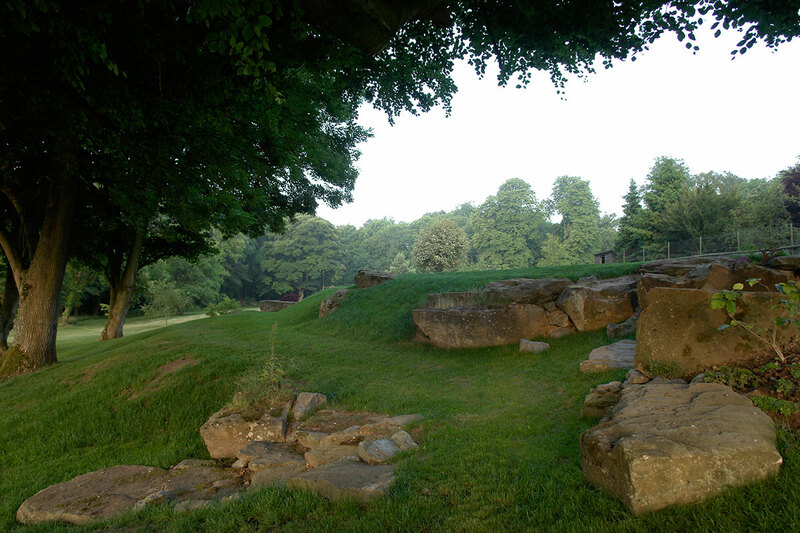 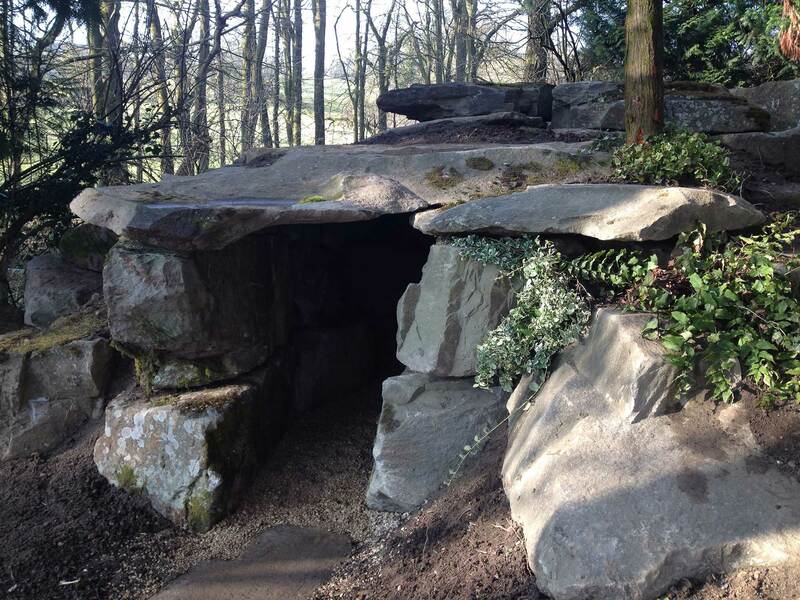 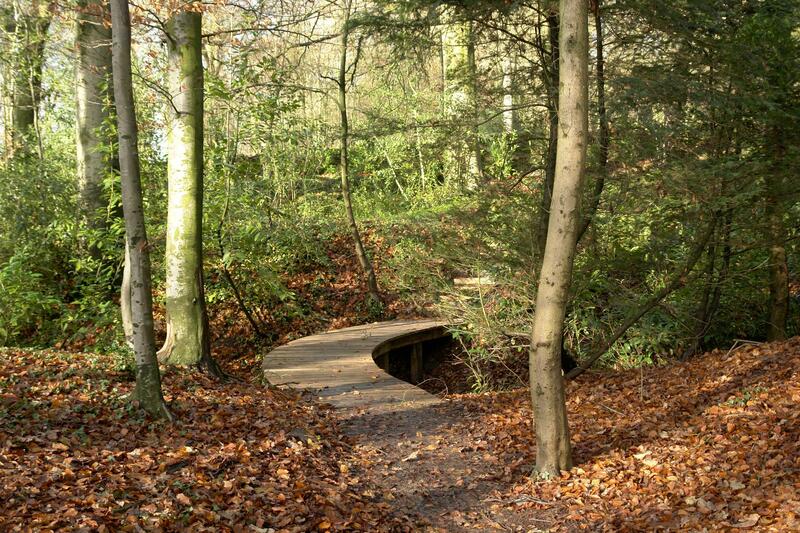 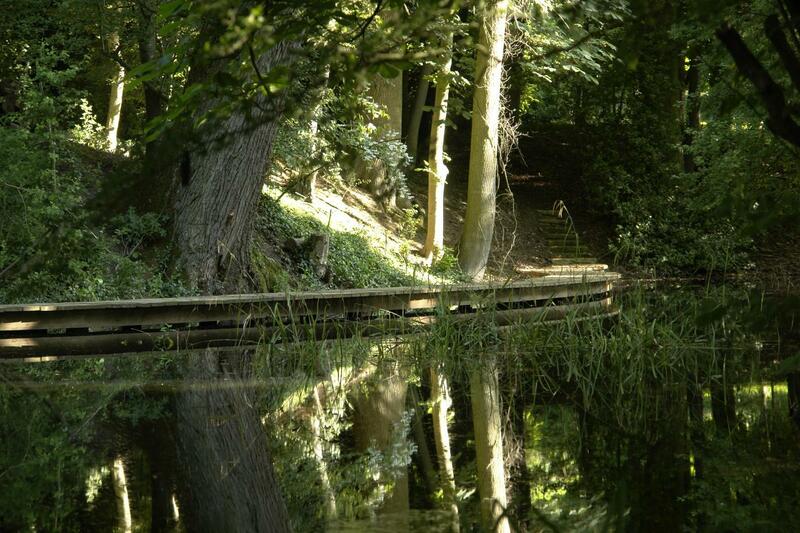 The mound was an old rubbish heap now a dramatic cave and rock mound with a fire seating circle on the top. 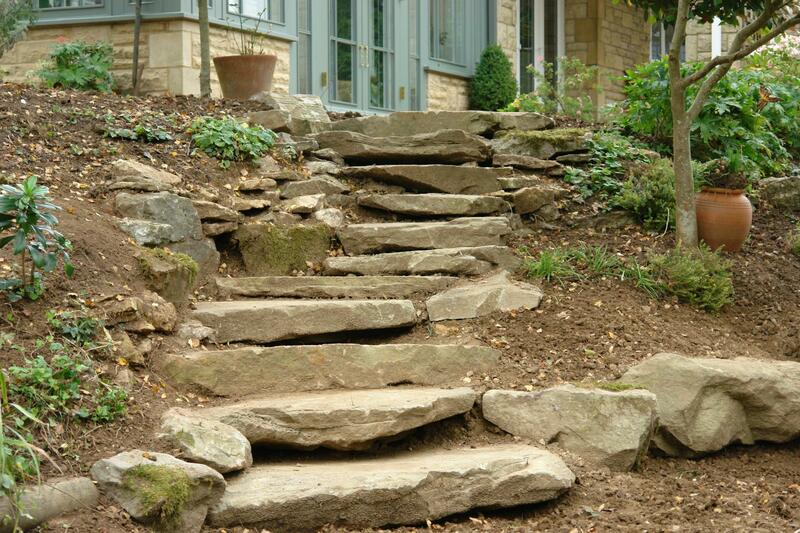 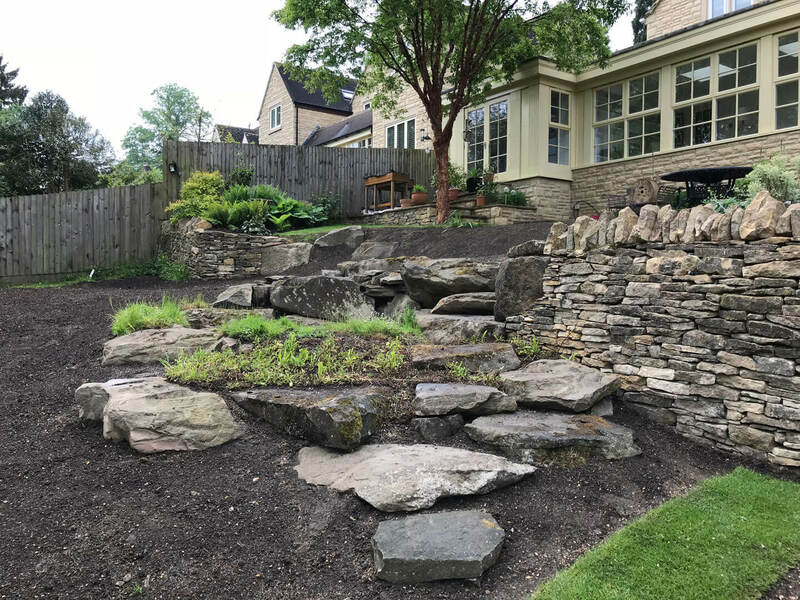 A severe retaining wall and hopelessly steep steps replaced by a natural stone outcrop and natural stone steps that are a delight to walk up and down. 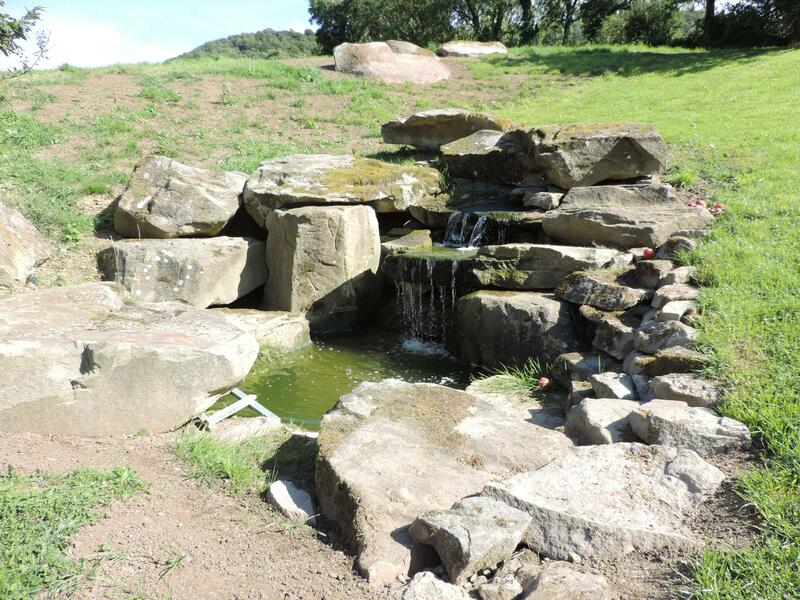 Complete with mower ride and the biggest waterfall spring we have yet built.